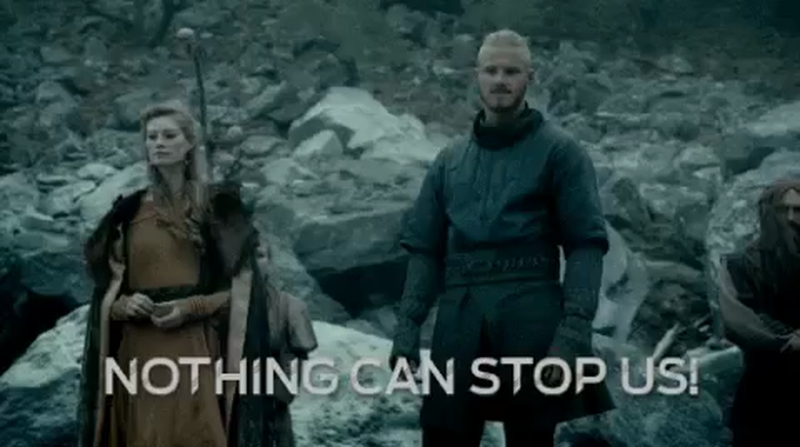 Welcome to a new term at wizard school. 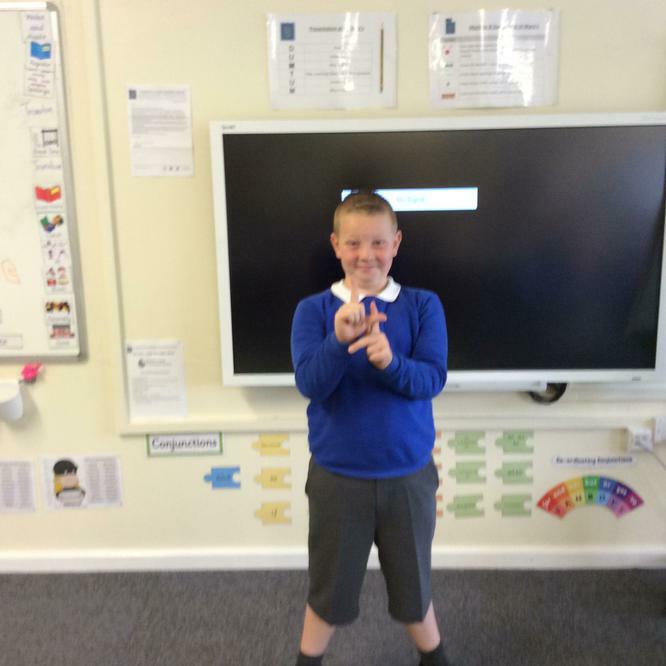 We are going to have a fantastic term, looking at Harry Potter for our English text and we are looking at money and decimals in Maths. 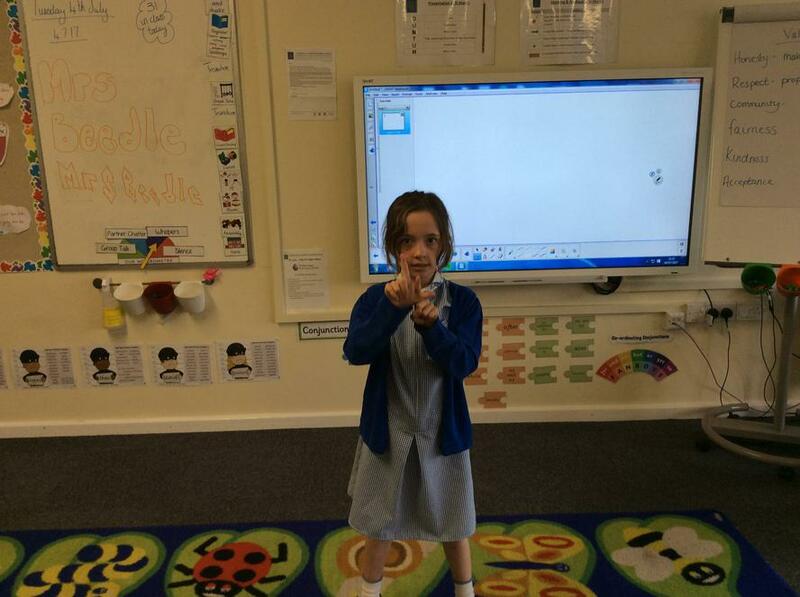 In topic are experimenting with solids, liquids and gases, it is going to be a fun topic. 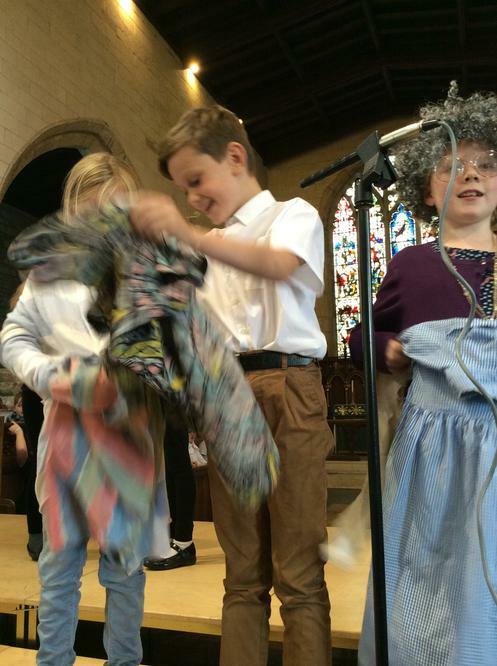 Hold onto your wands Laughton it is going to be an adventure. 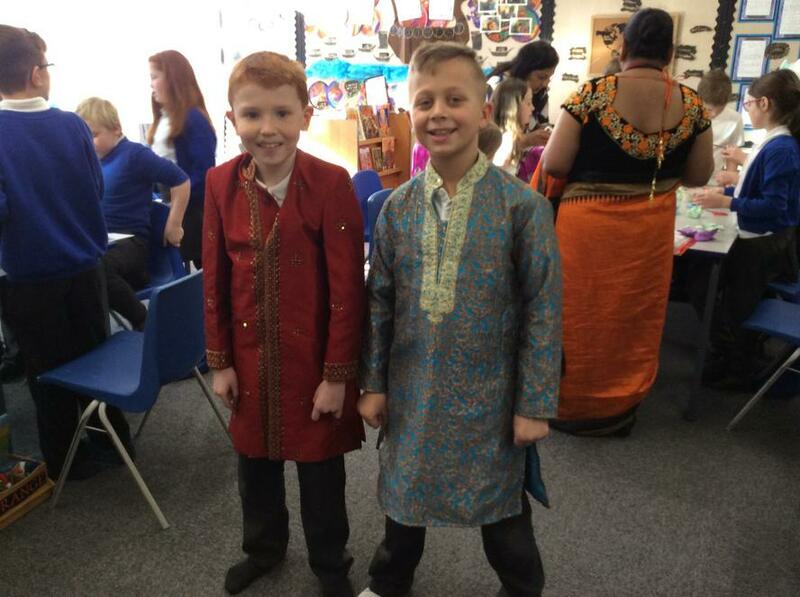 I hope everyone has had a fantastic break and had lots of fun. 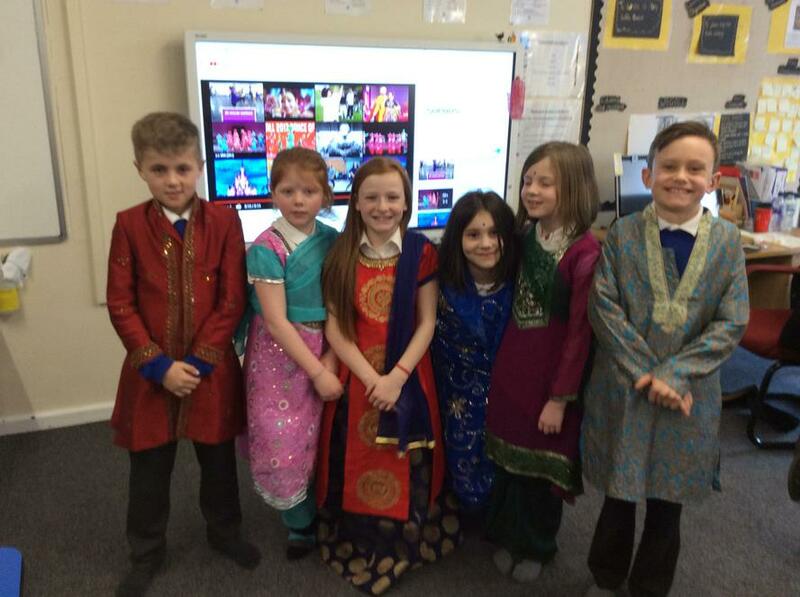 This term we are looking at 'Land of the Living' as our topic and we have some special friends coming into the classroom. 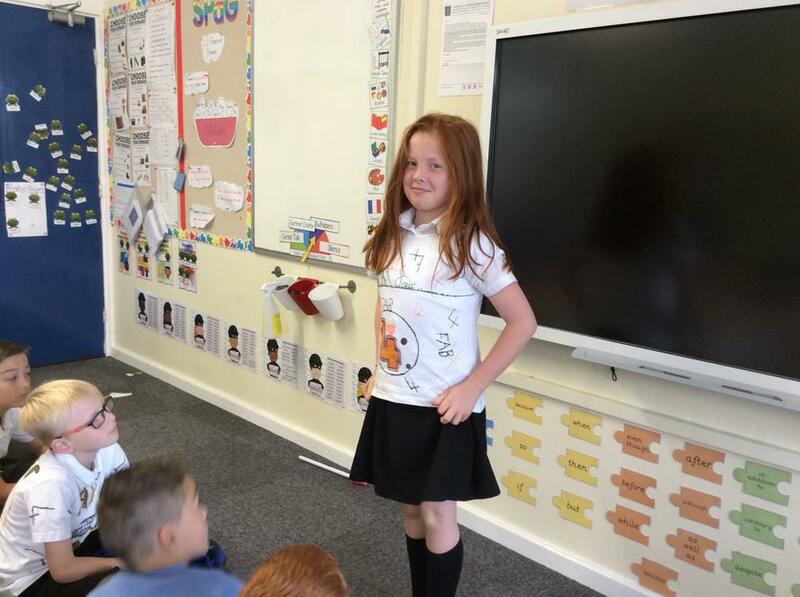 This is a geography and science topic and I think year 4 are going to have lots of fun with it. 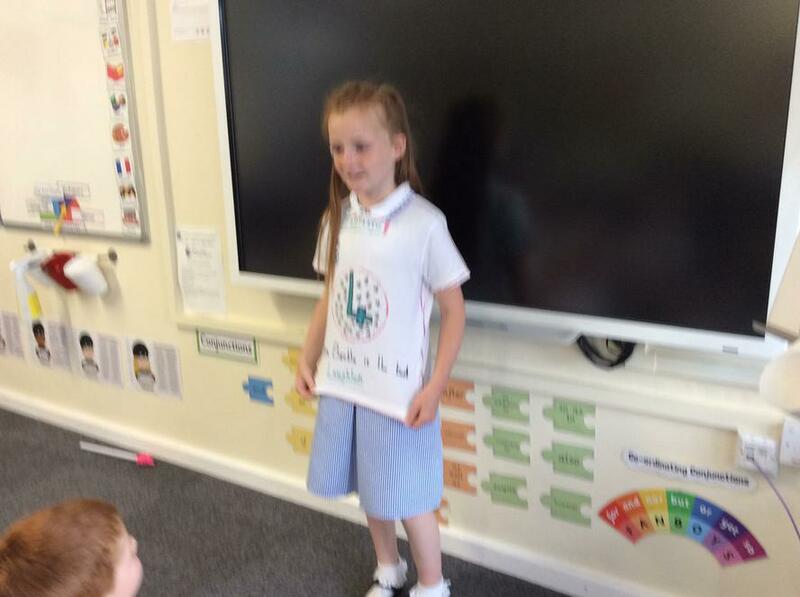 We are looking at Charlotte's web in English which is such a great book. 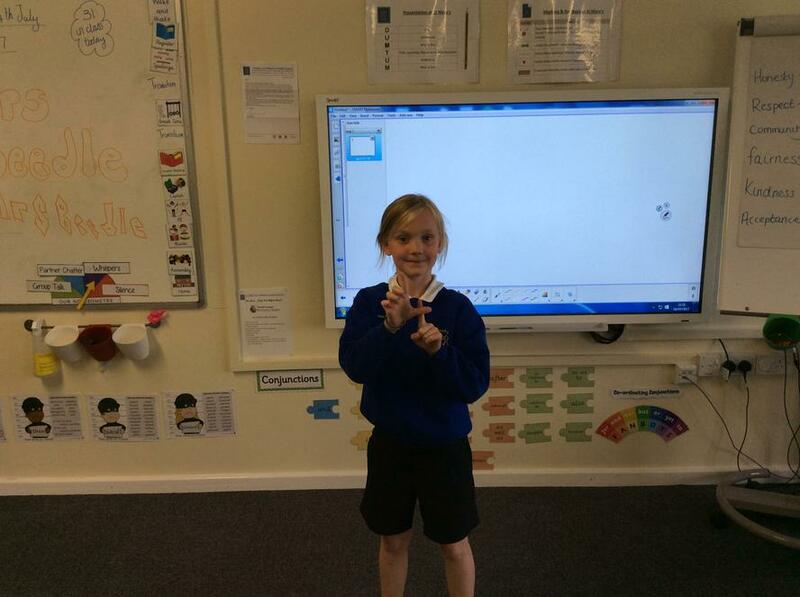 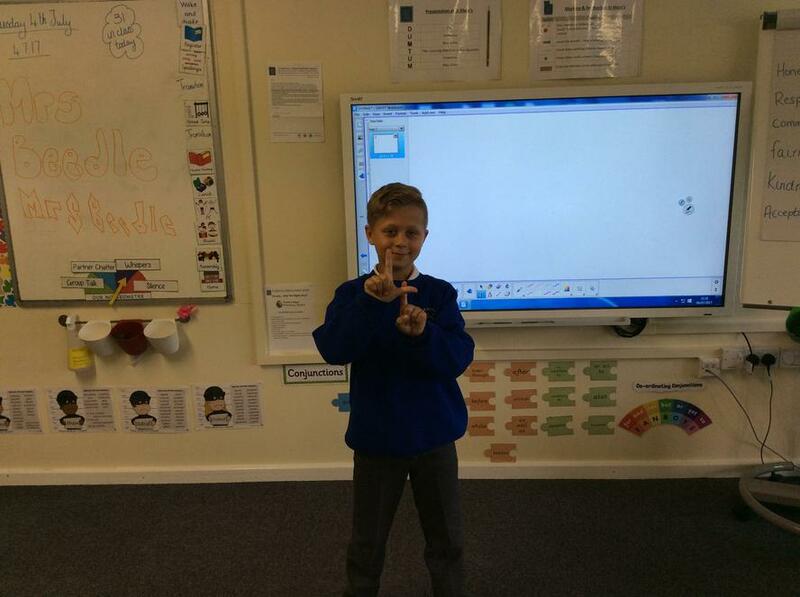 In maths we are still looking at decimals and fractions. 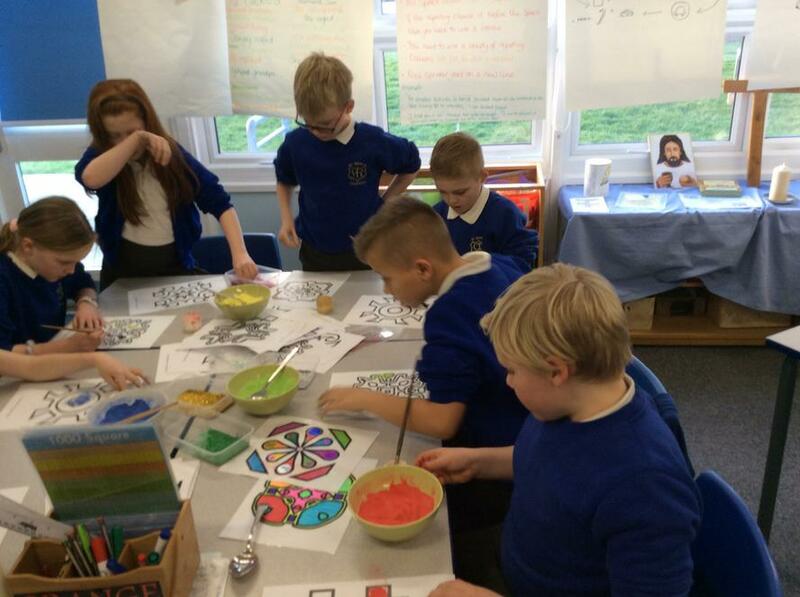 We will be looking at the Easter story and in the first week we will be looking at Chinese New Year. 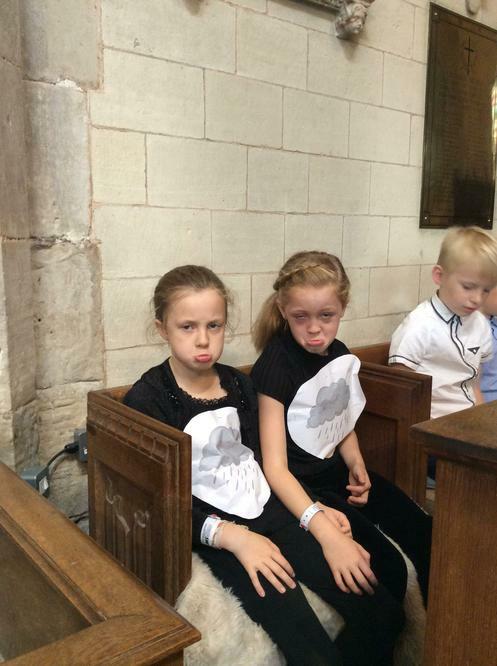 Welcome back, we hope you had a fantastic Christmas. 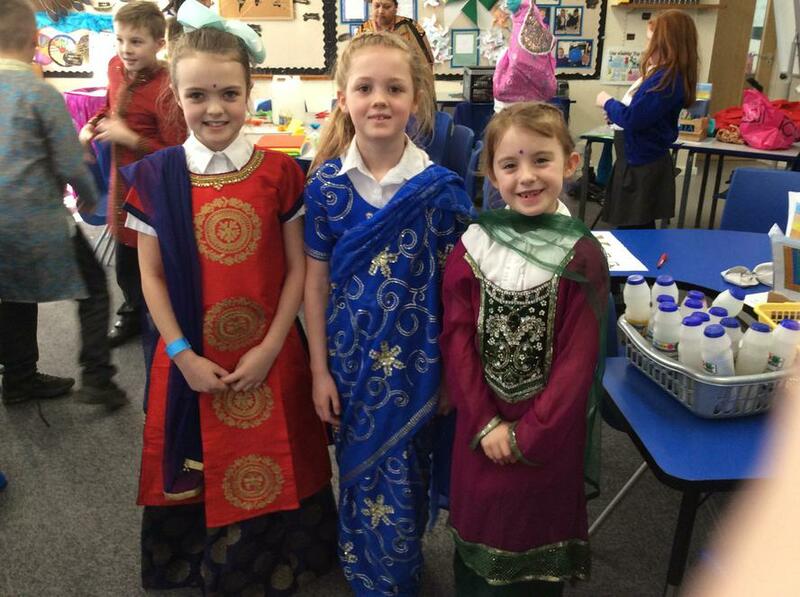 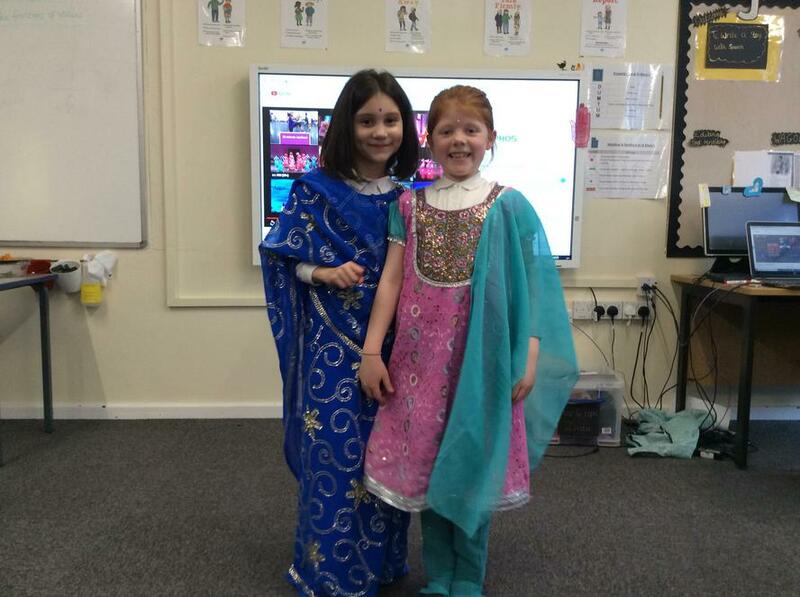 This term we are going to be learning a lot of geography and the country India. 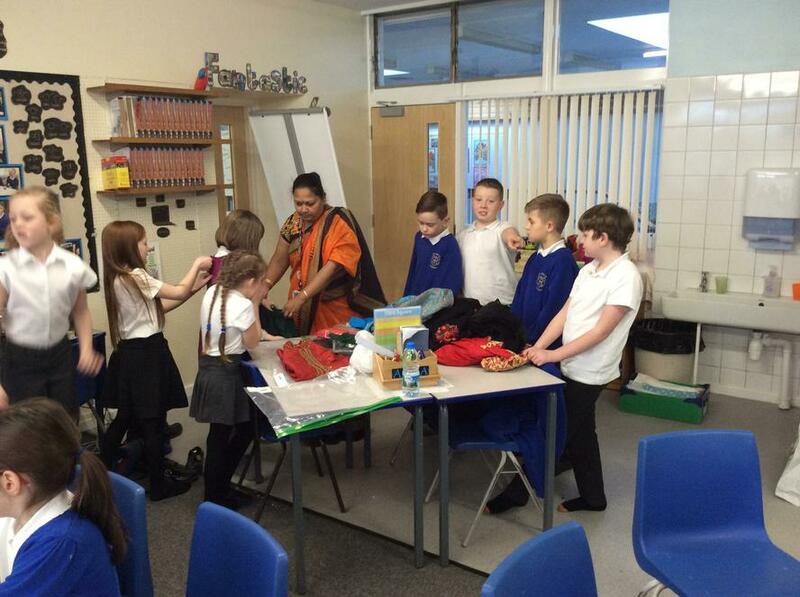 We are lucky enough to have some ladies coming in to show some things about Indian culture (pictures to follow). 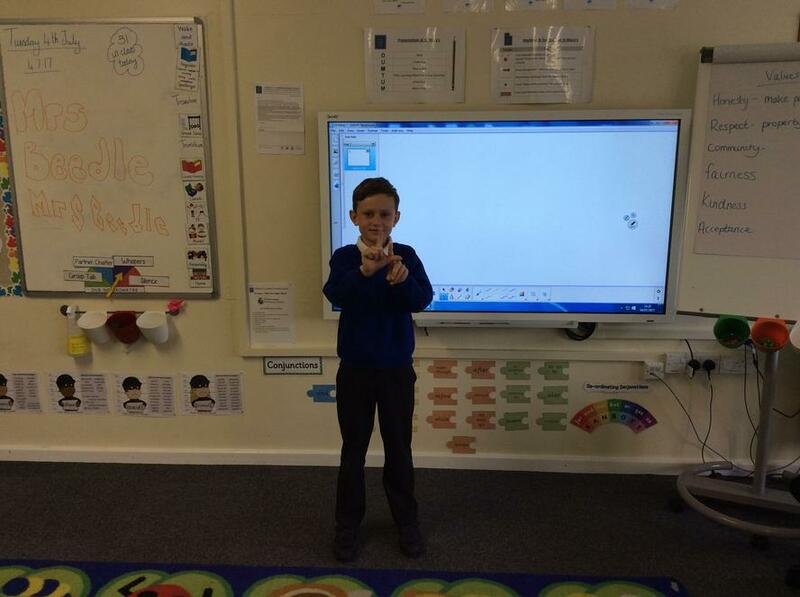 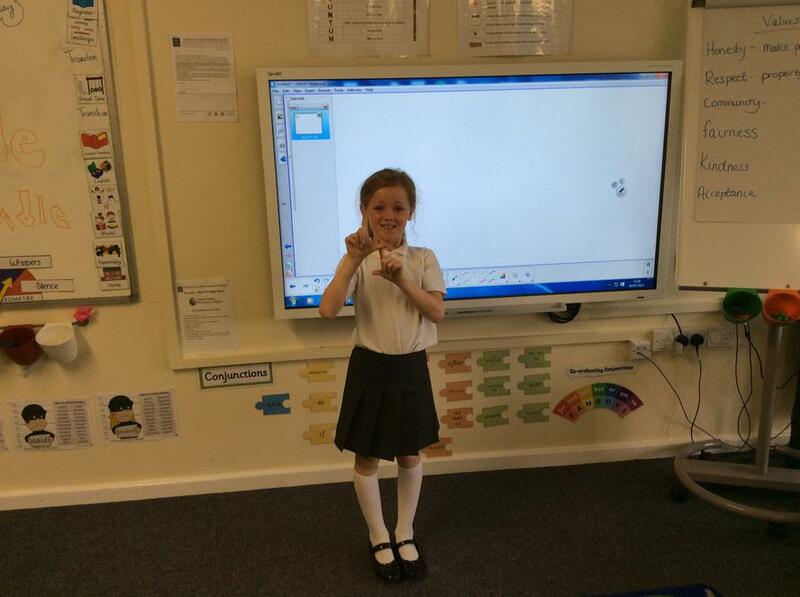 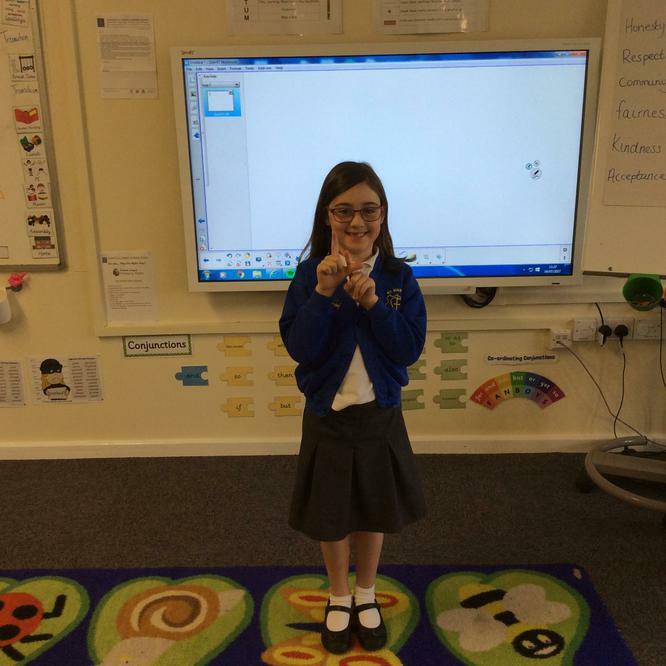 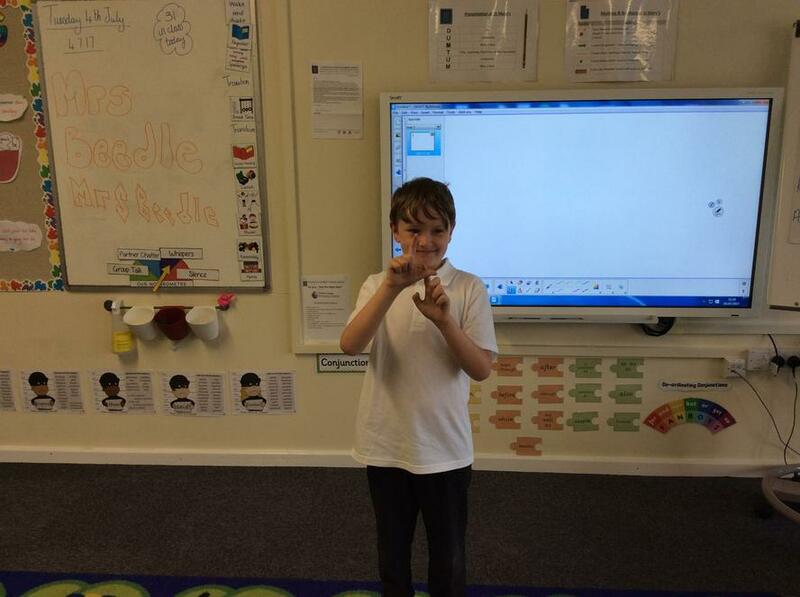 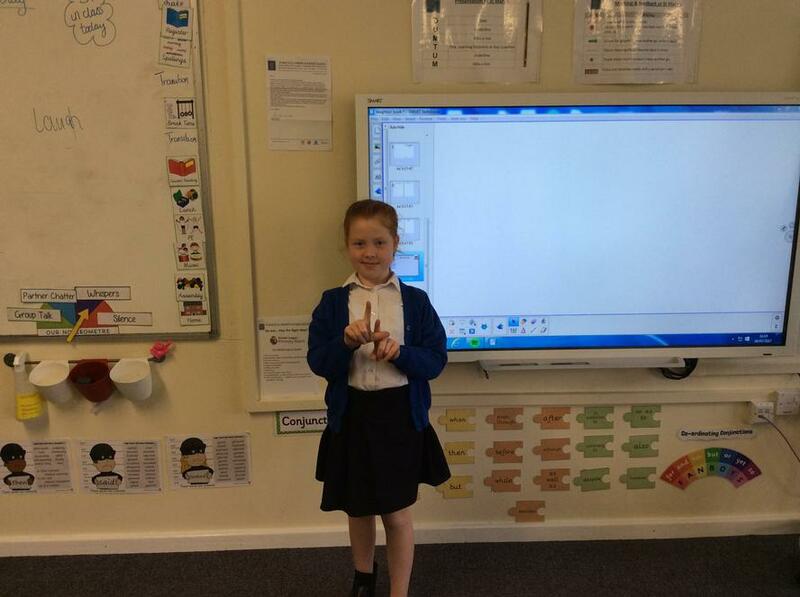 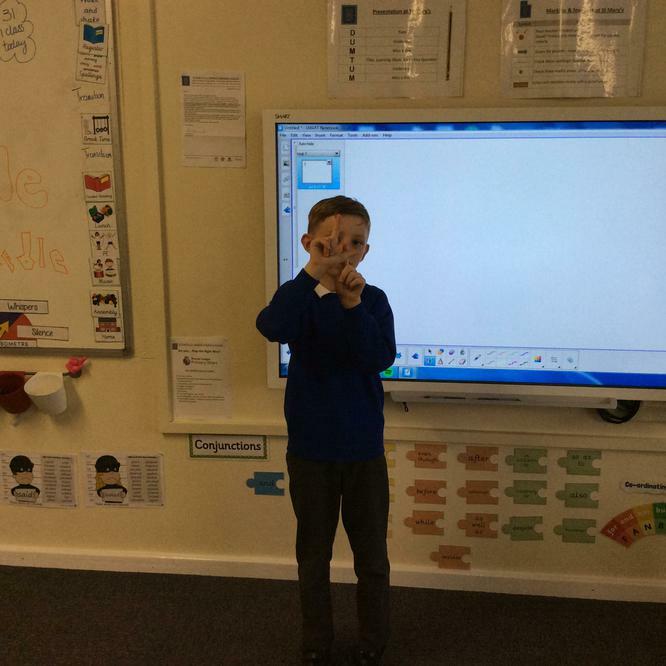 In maths we are looking at multiplication and division leading onto fractions. 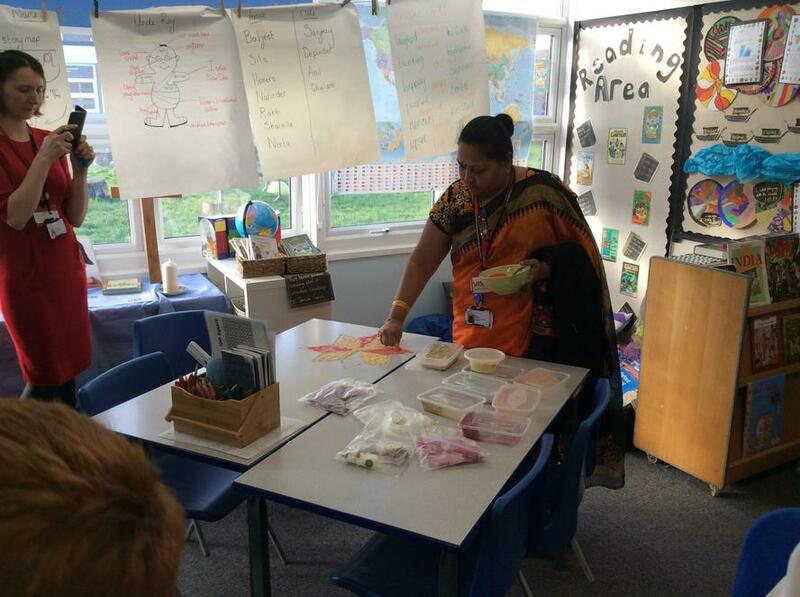 In English we will be reading the book Grandpa Chatterji and writing our own story about a family member who comes to visit. 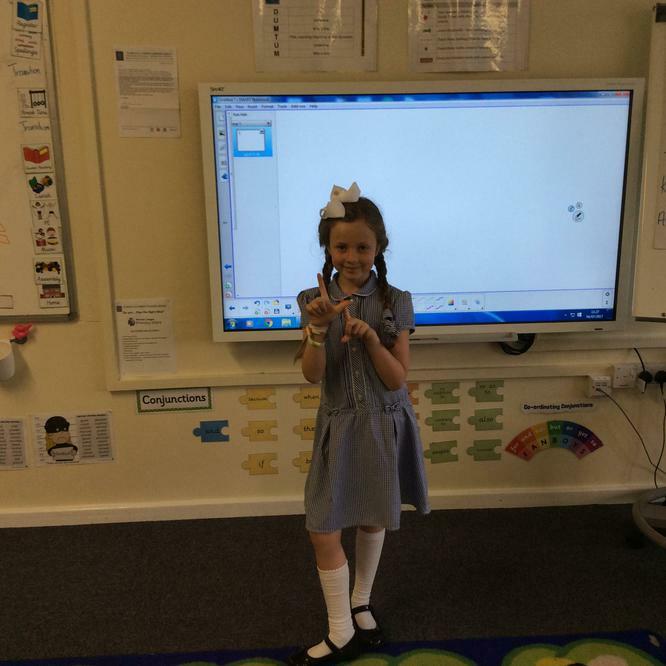 Welcome back to a new term. 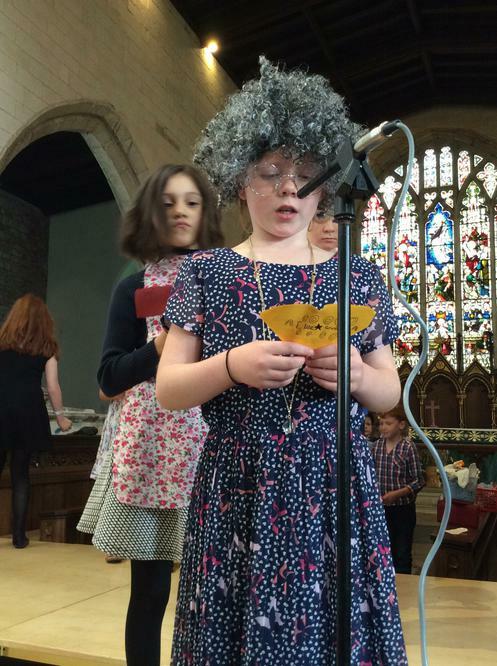 I hope you all had a fantastic half term. 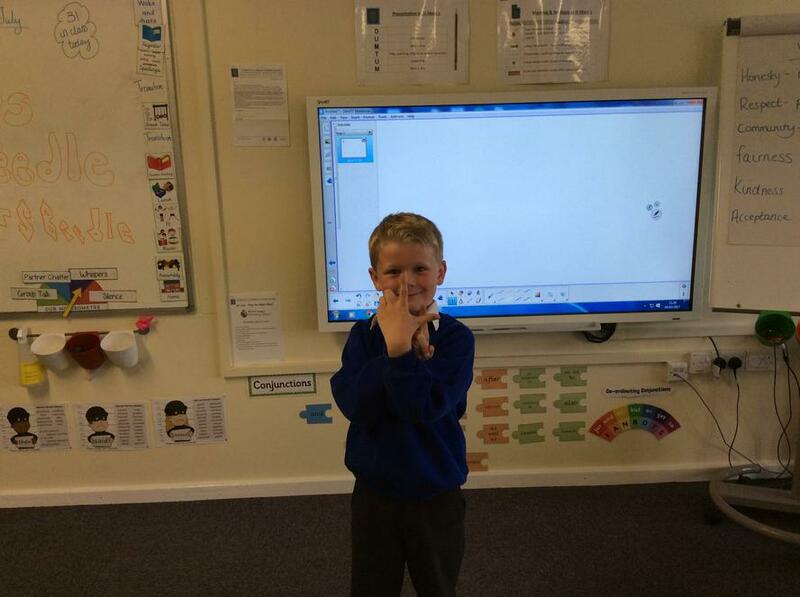 We are going to be scientists this term and look at Electricity in our topic 'Its Shocking'. 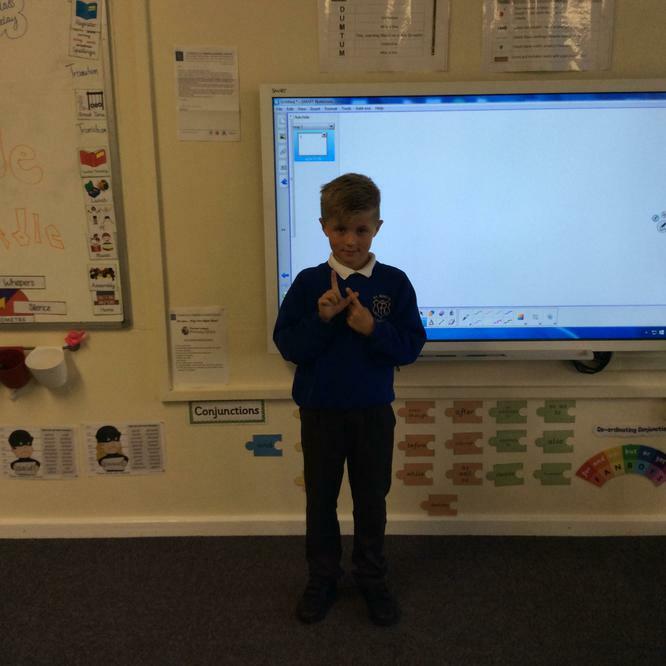 We are very excited to turn on our science brains and explore electricity. 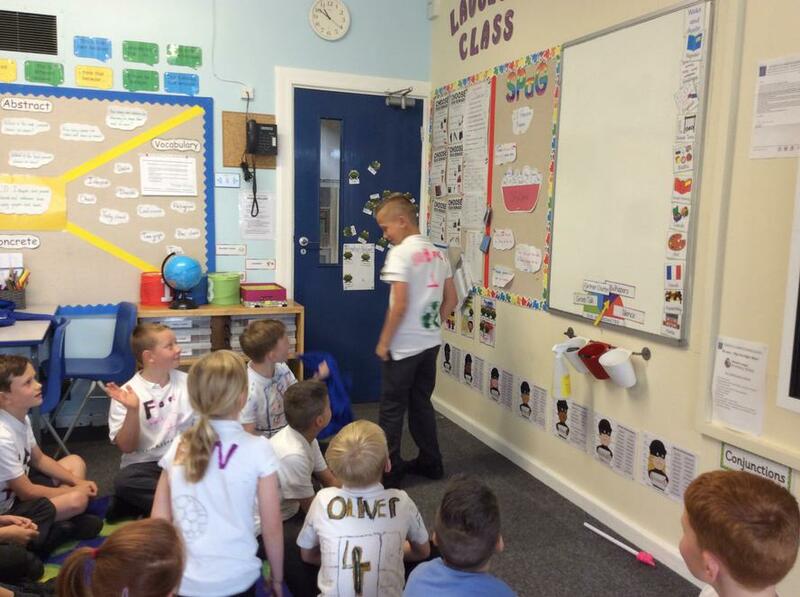 You may have noticed children coming home with balloons today......we have started by looking at static electricity and used balloons to perform some experiments with our hair, jumpers, carpets and tissue paper to create positive charges. 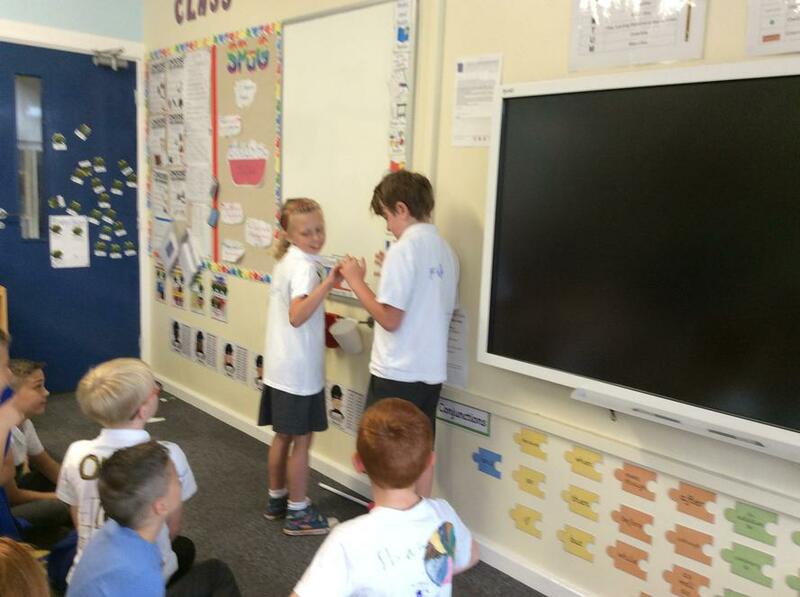 We made all the atoms in our hair positively charged so they repelled each other! 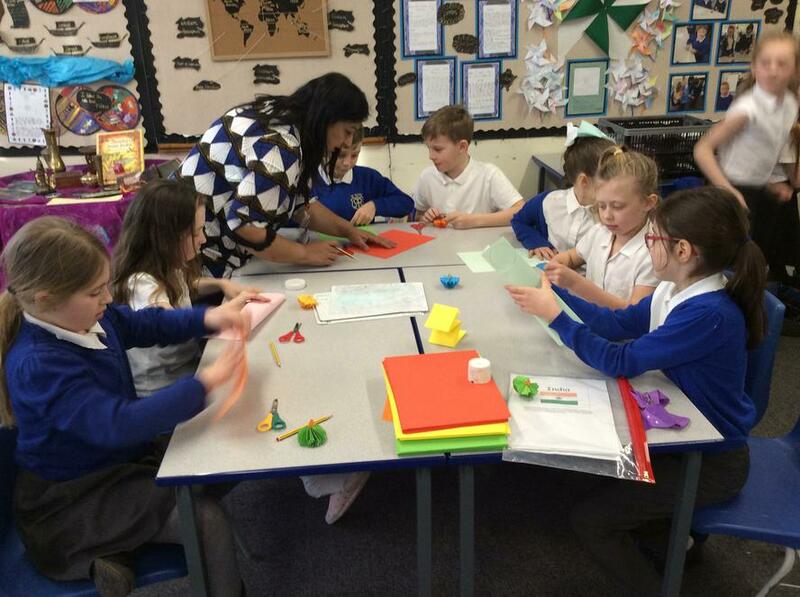 We then made the atoms on tissue paper positively charged so they could stick to our negatively-charged balloons. 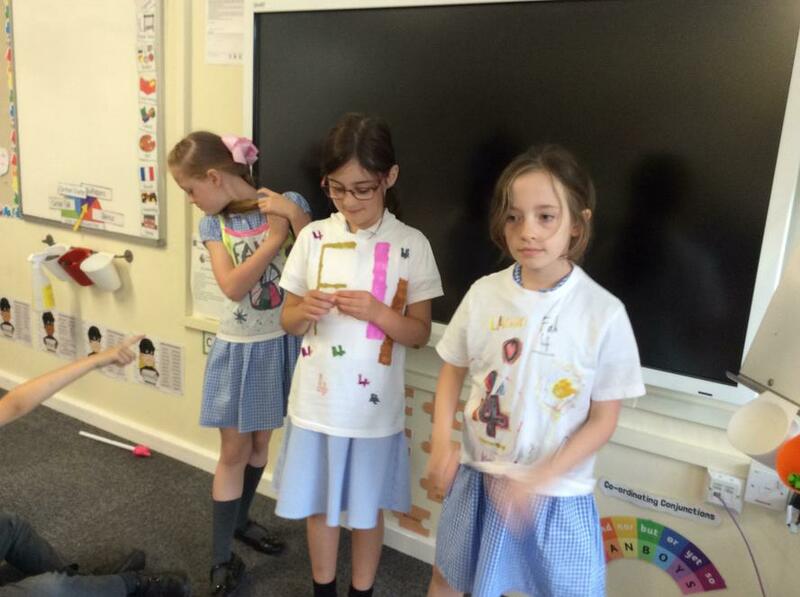 It has been a lot of fun and with more fun experiments to come it is going to be a very interesting topic. 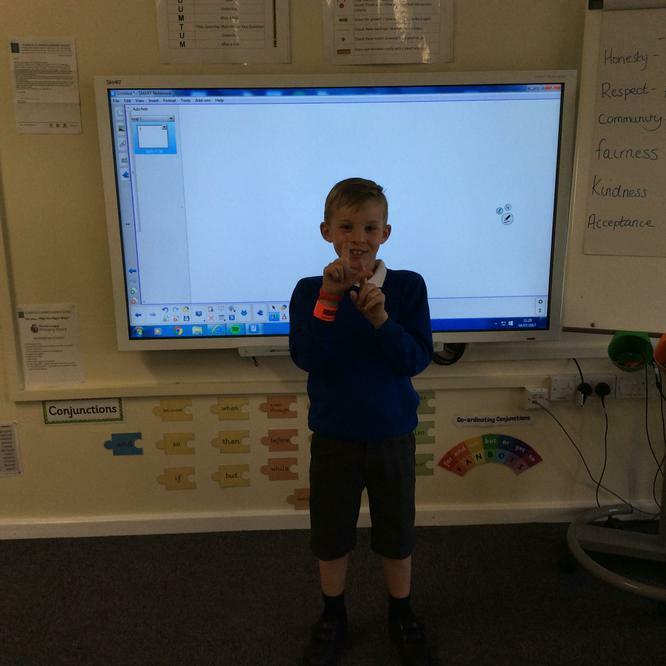 I have even bought us a plasma ball for us to use in the classroom. 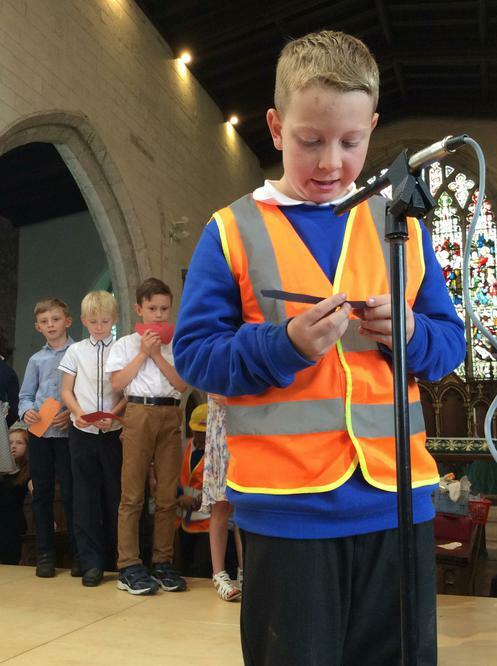 Friday 10 November - Remembrance Service in School Hall 10:30 a.m.
Wednesday 29 November - Christingle in St Mary's Church 2 p.m.
Thursday 7 December - Christmas Fair School Hall 2.p.m. 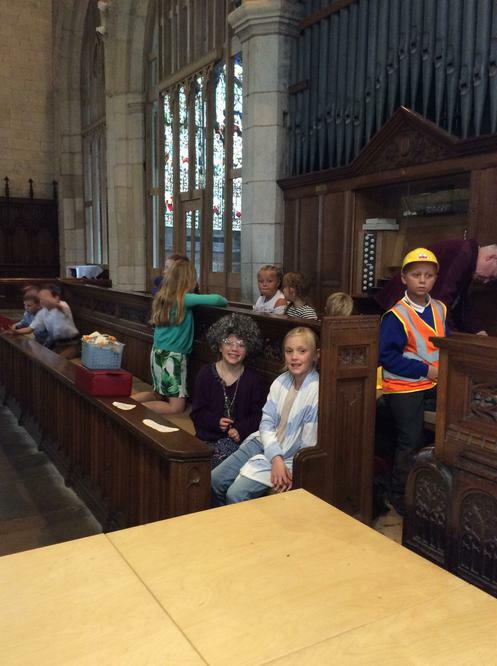 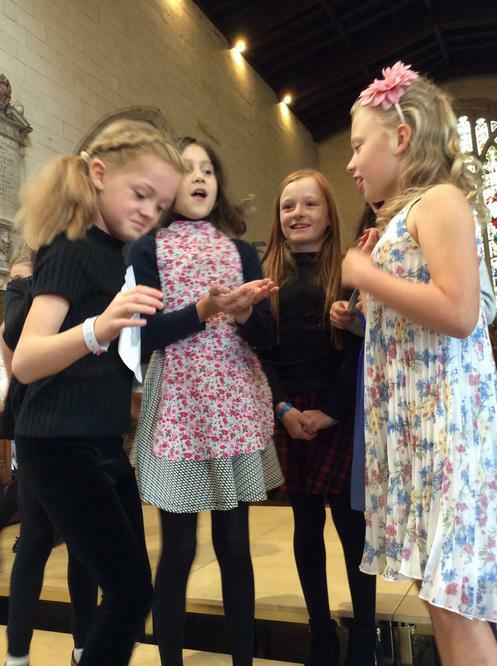 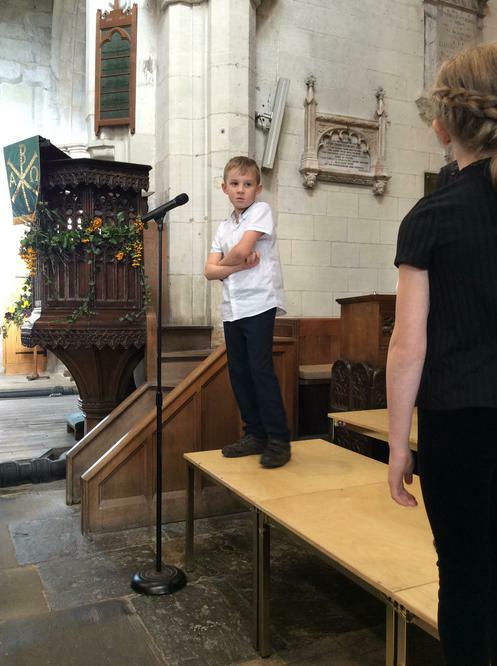 We had a fantastic fun-filled day in York on 6th October. 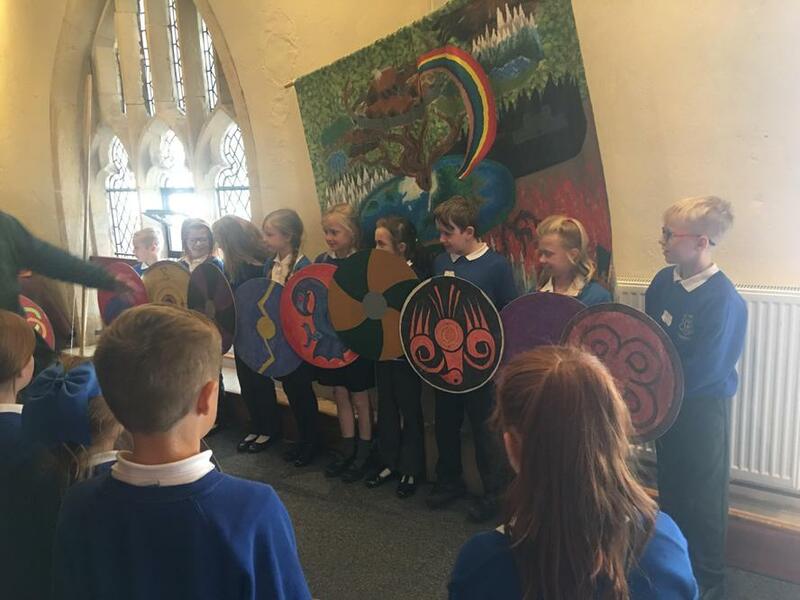 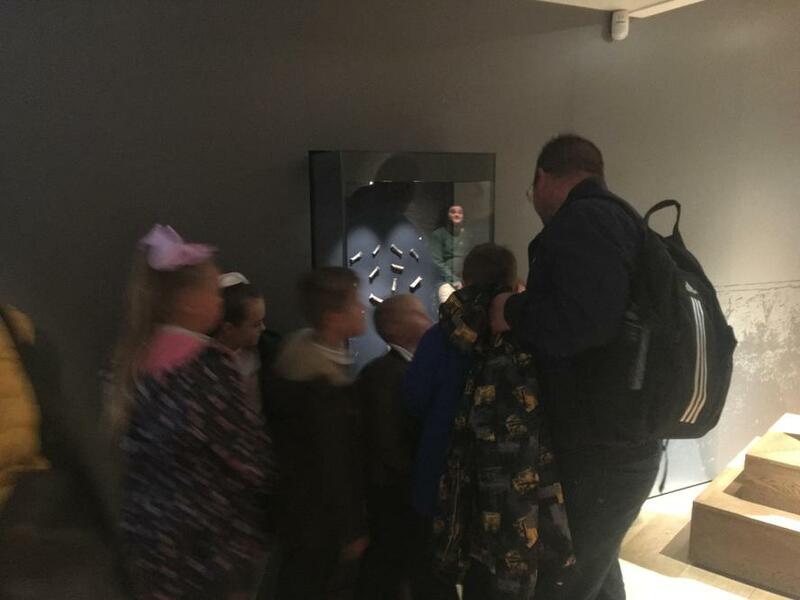 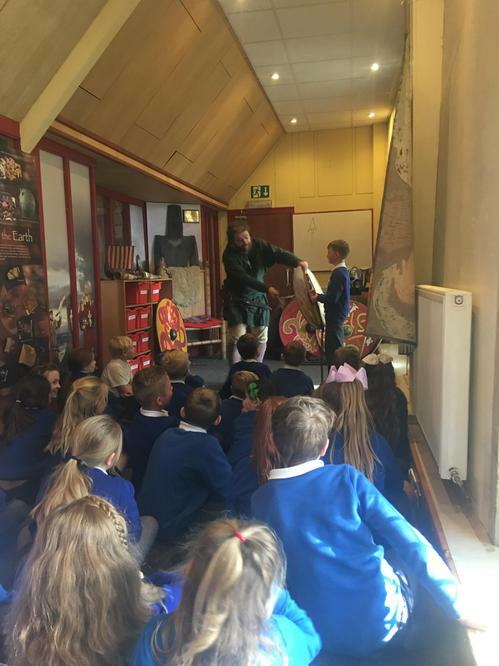 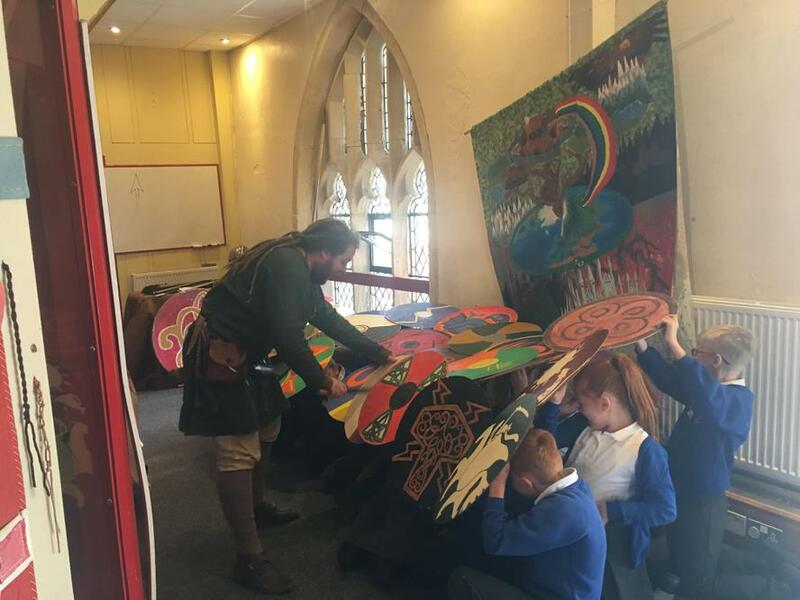 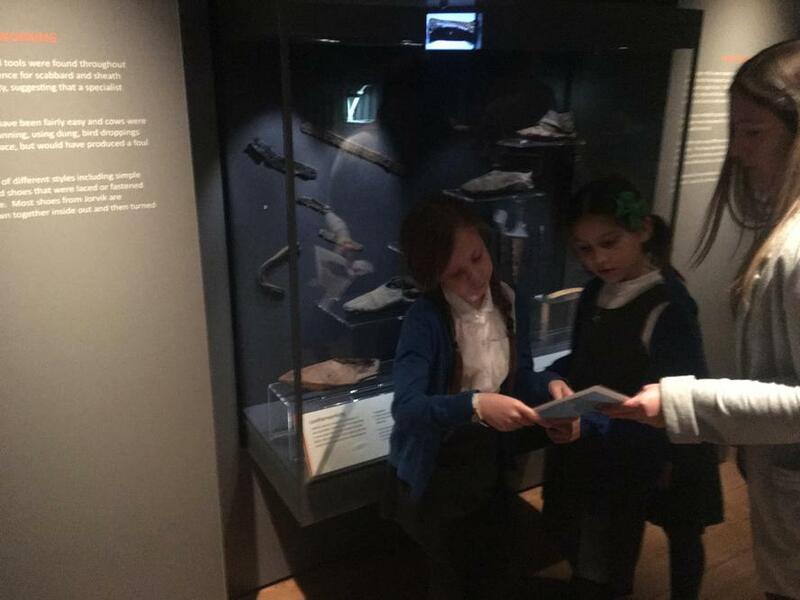 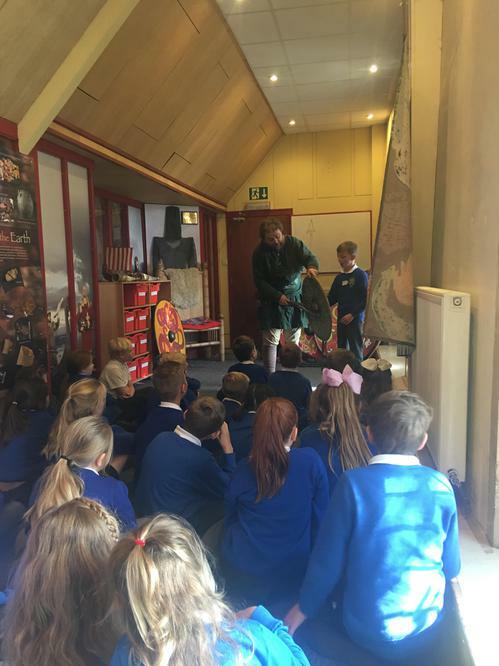 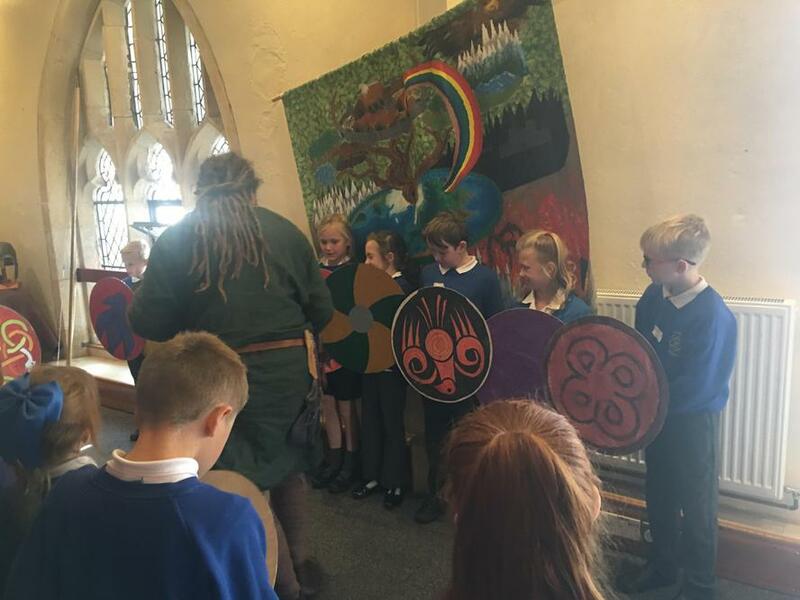 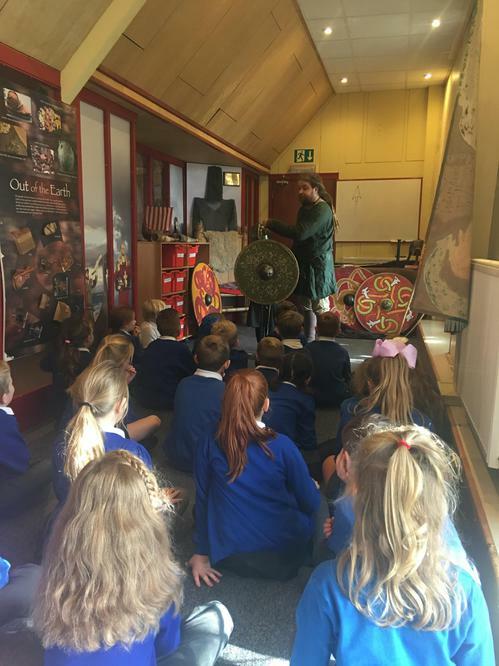 We started by visiting a Viking in DIG who taught us all about Viking weaponry and how many 'weapons' were also tools such as the bow and arrow and the axe. 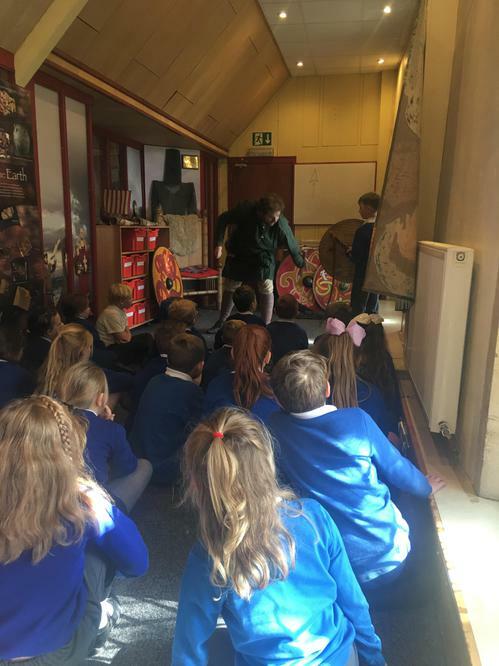 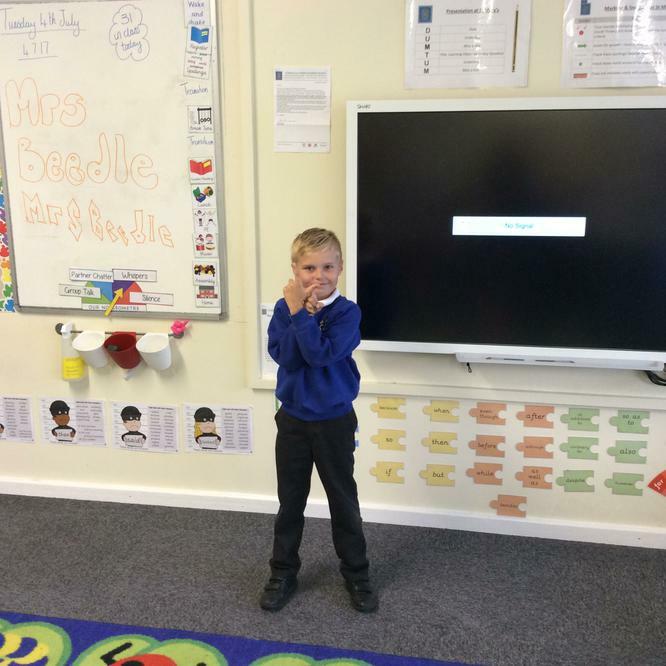 We learnt about battle formations and scare tactics and scared the life out of Mrs Beedle with our terrifying yells and ferocious expressions. 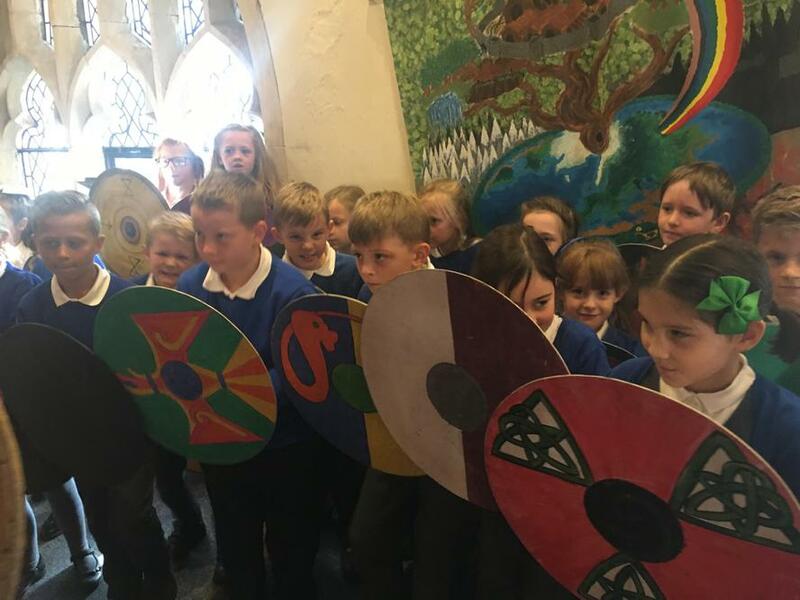 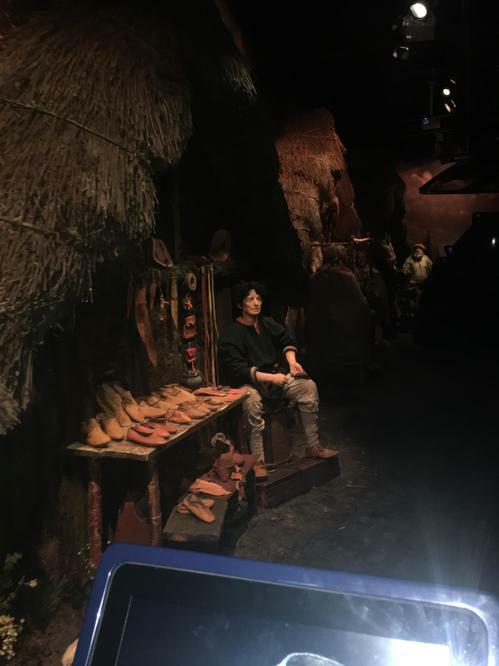 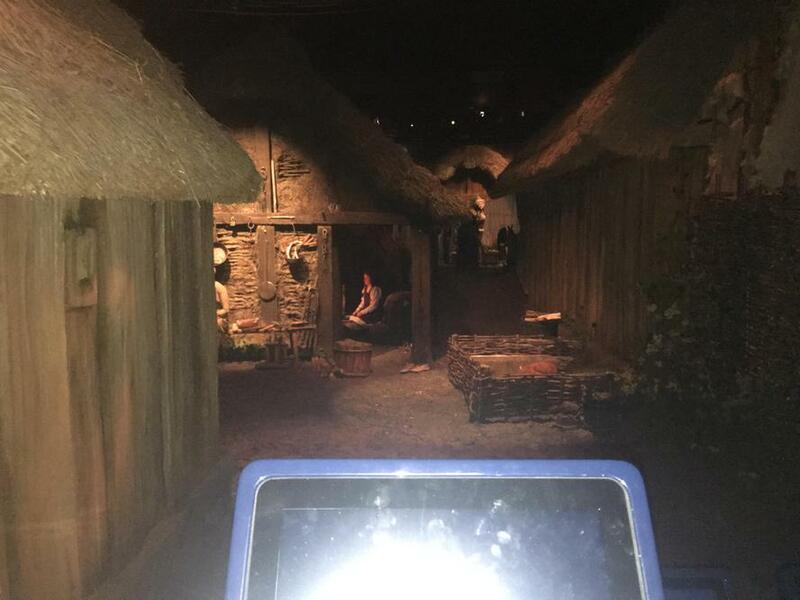 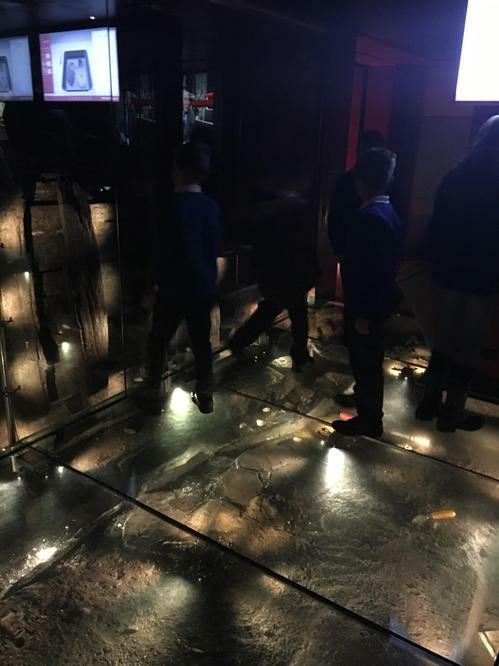 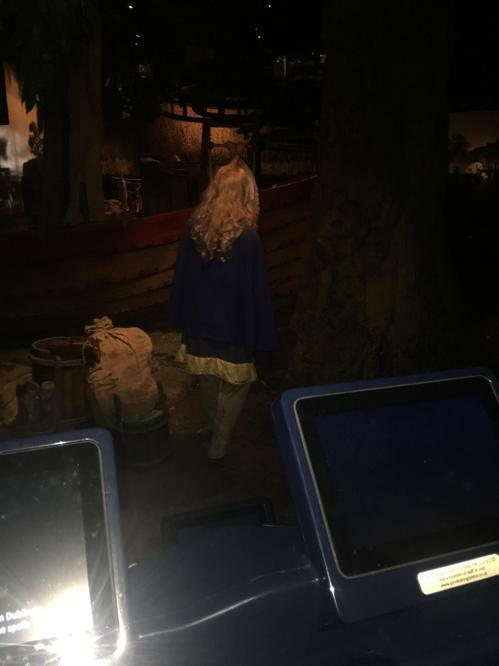 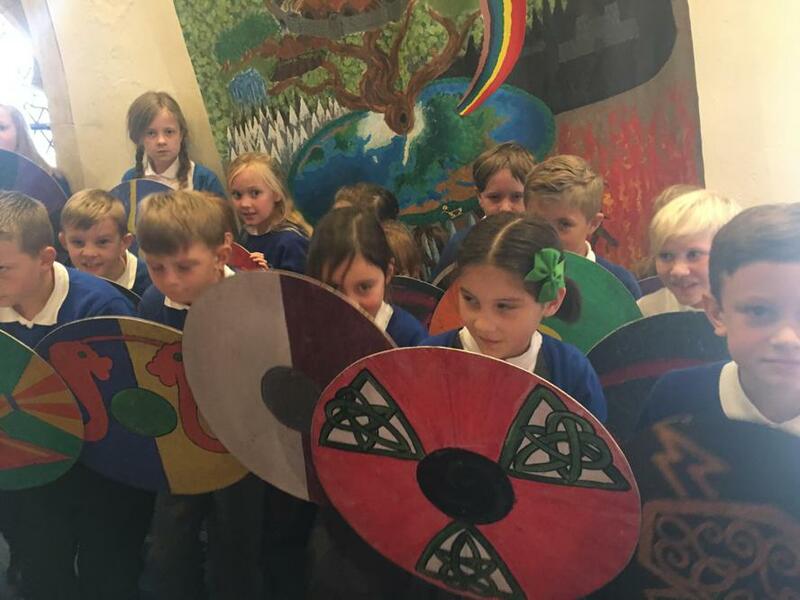 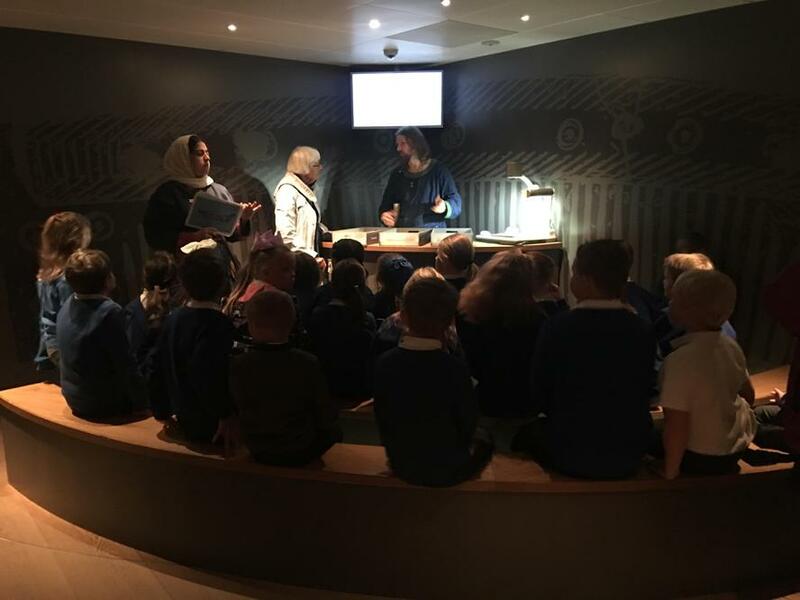 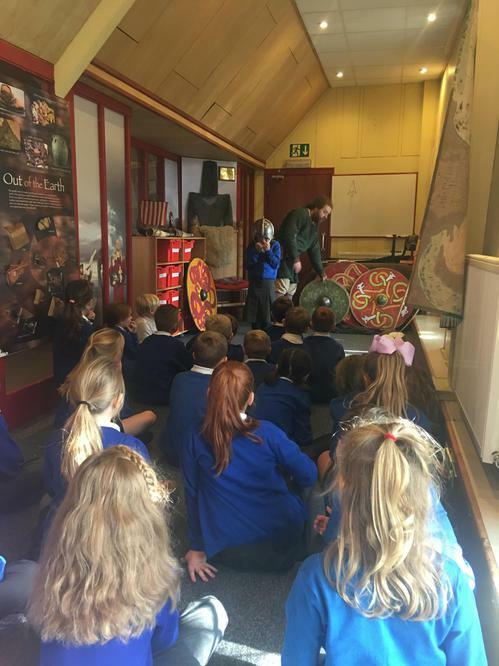 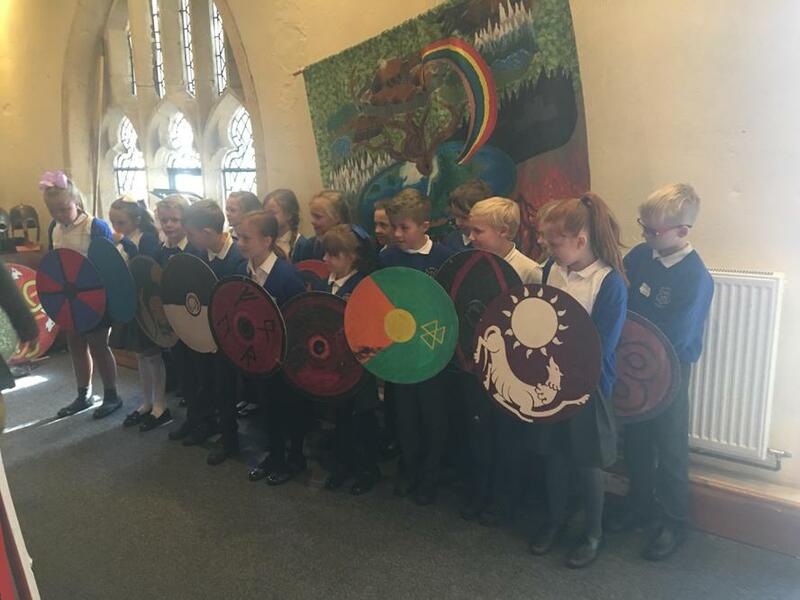 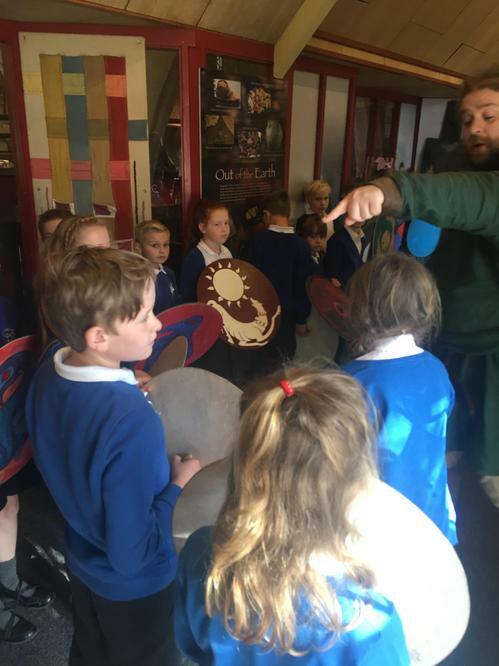 We went on to Yorvik where we took a ride around the Viking Coppergate and learnt all about Viking life. 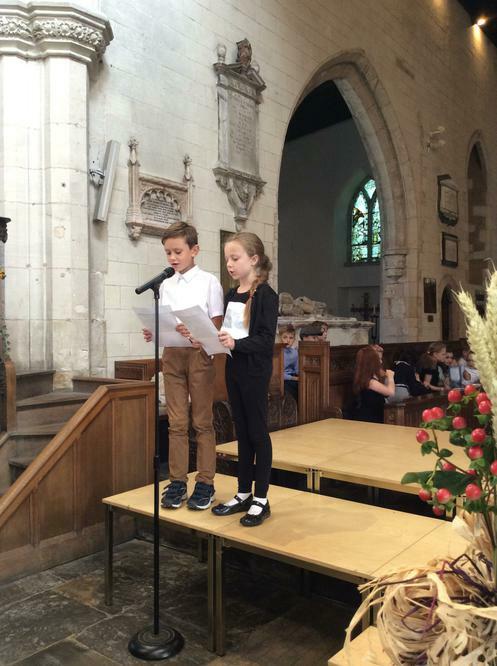 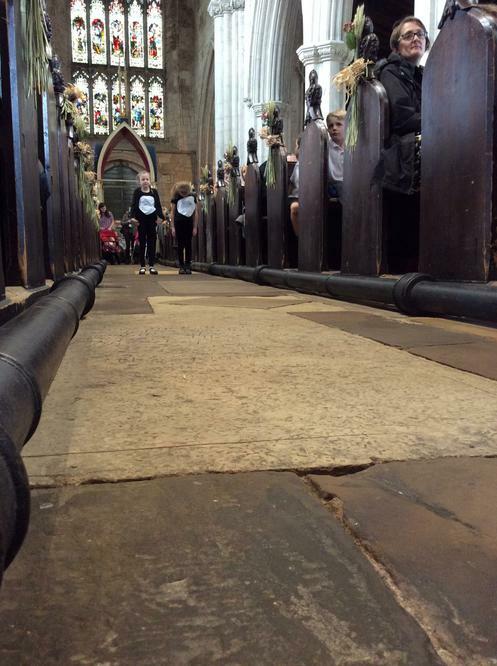 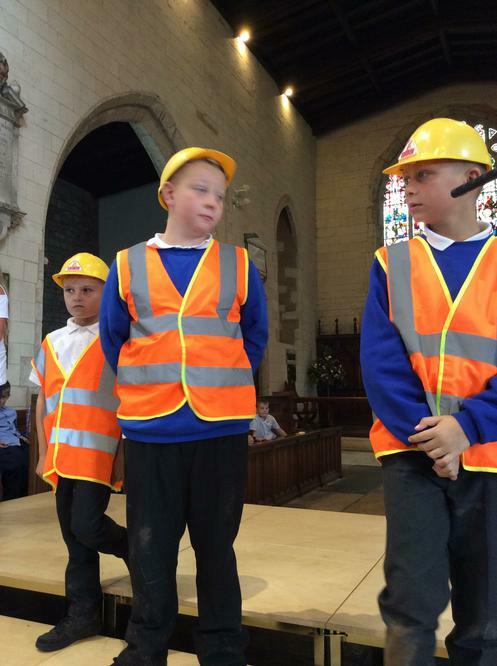 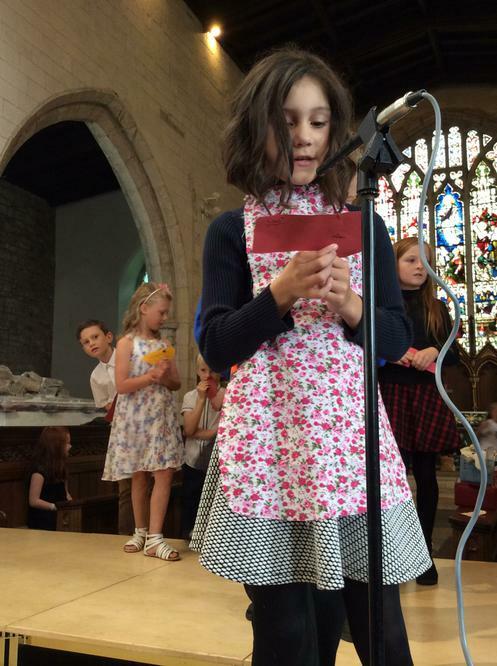 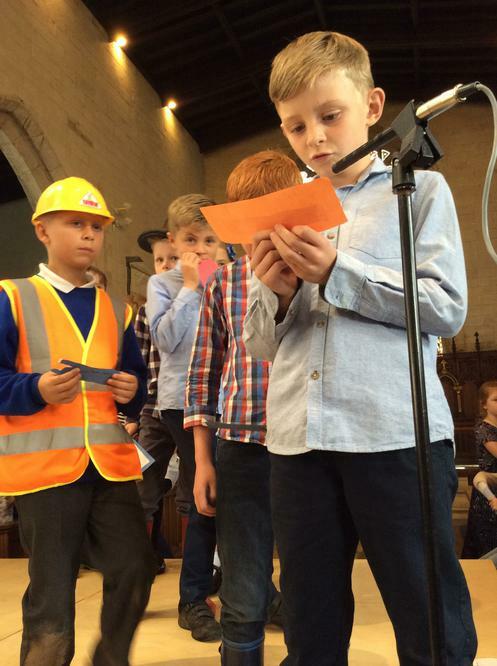 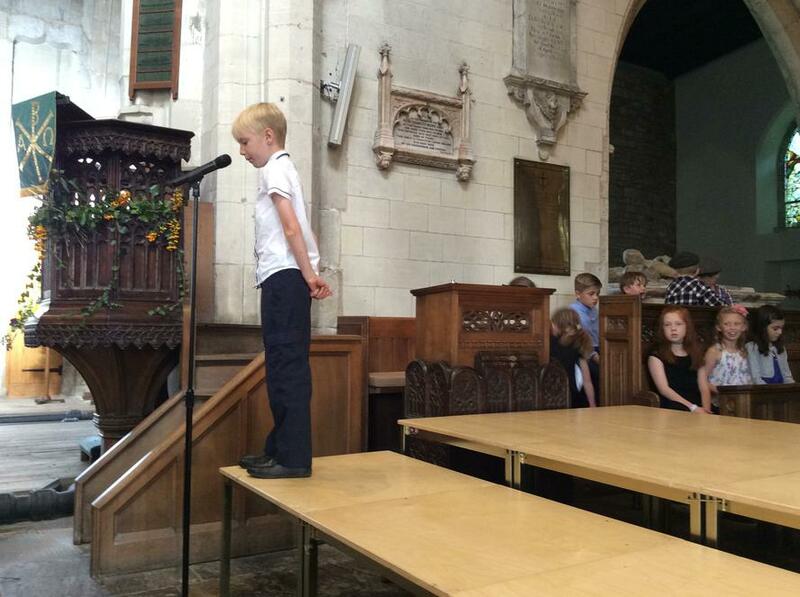 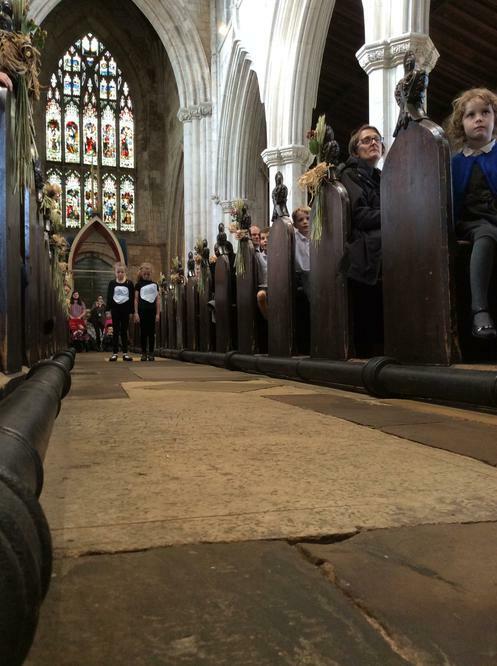 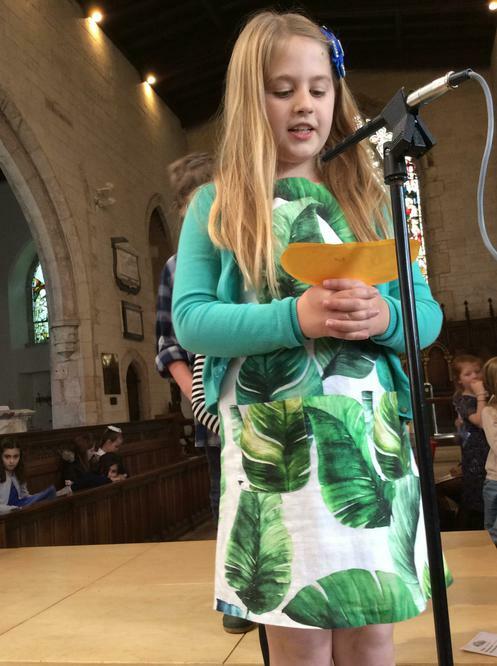 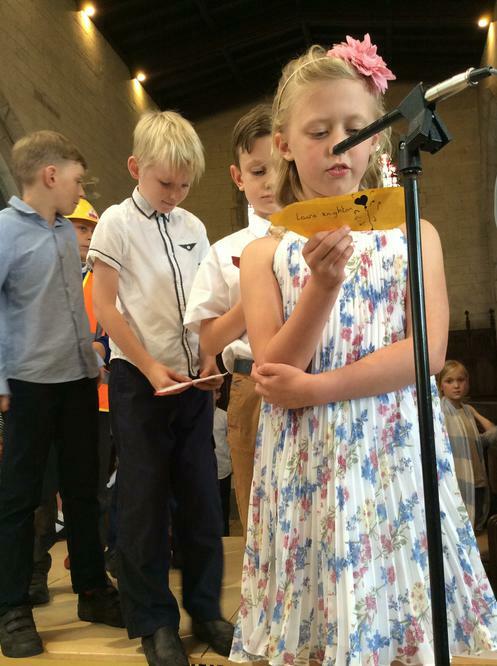 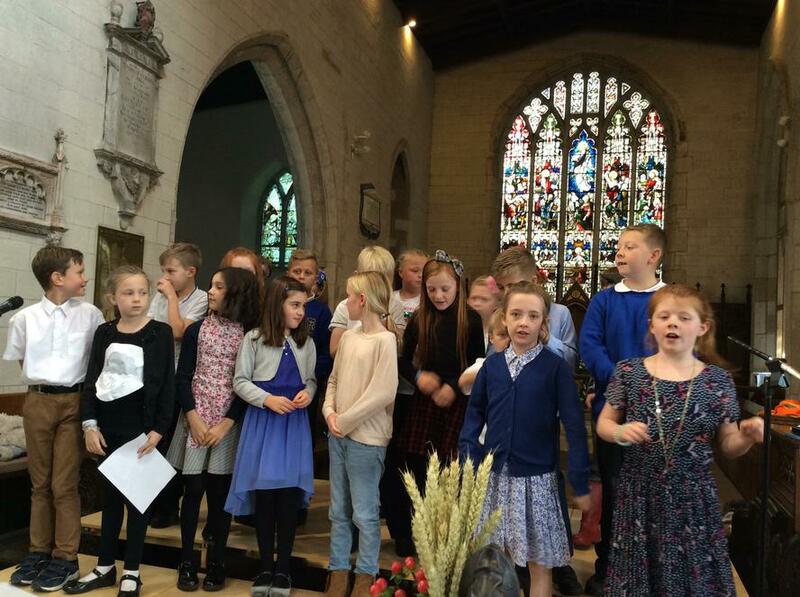 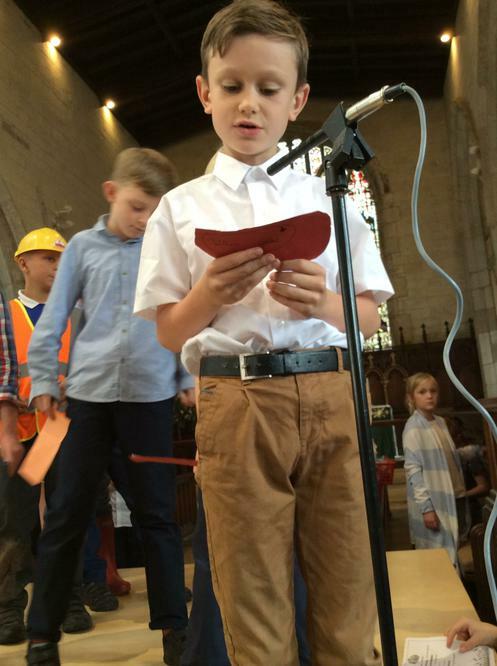 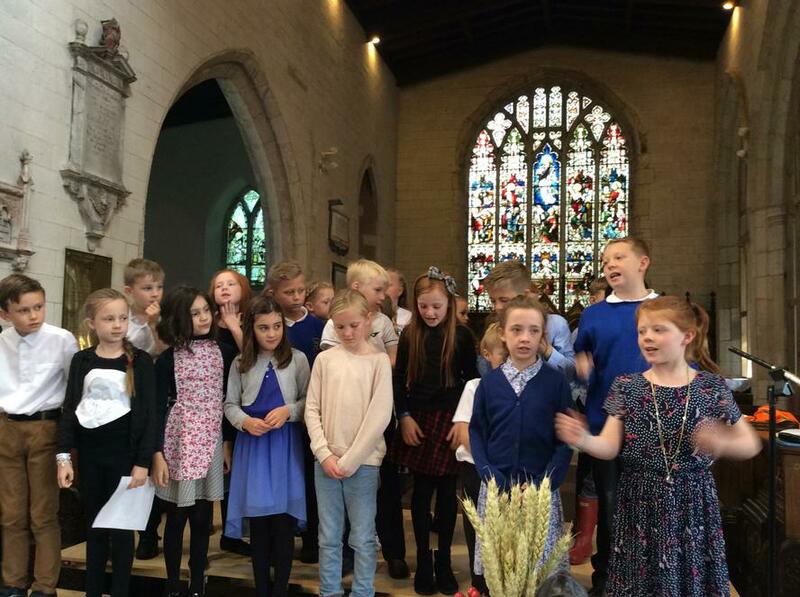 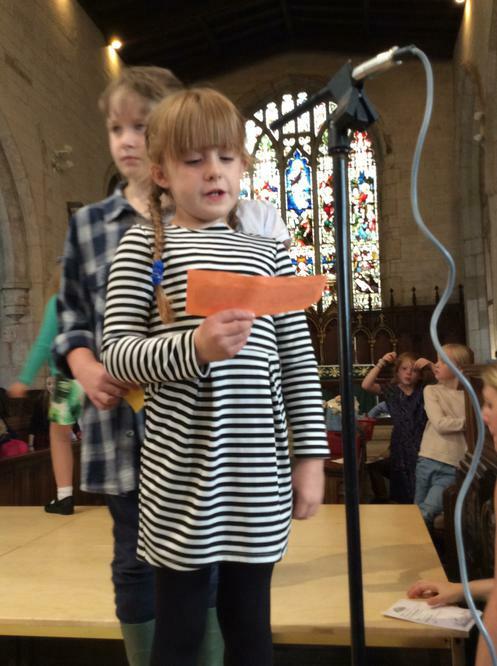 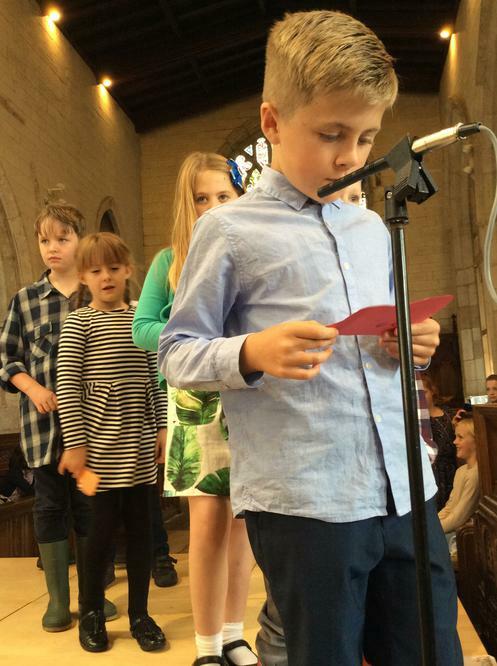 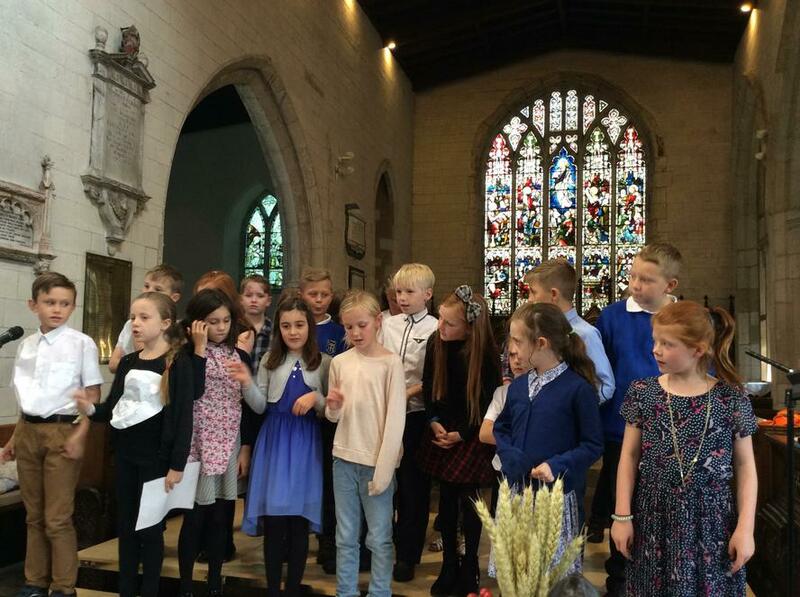 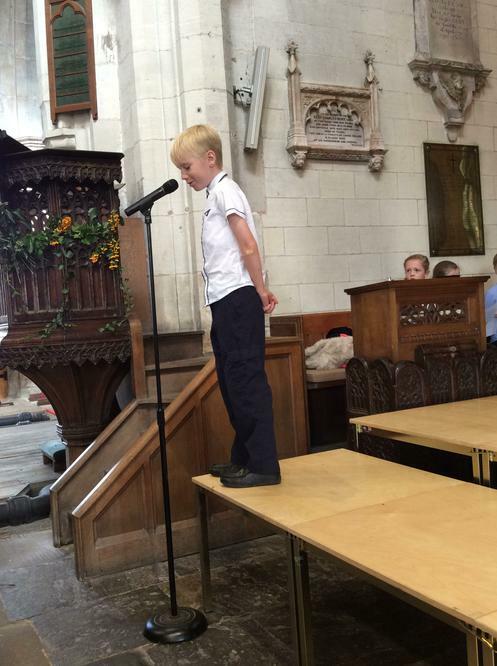 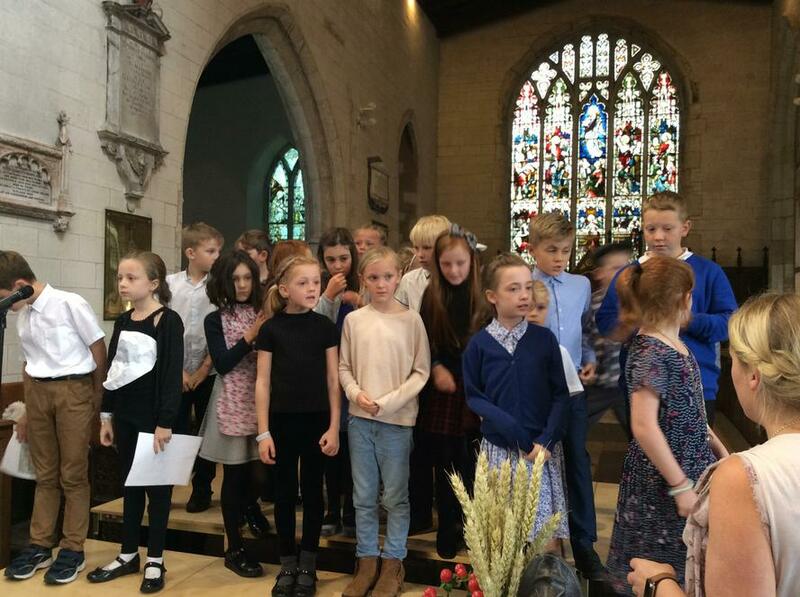 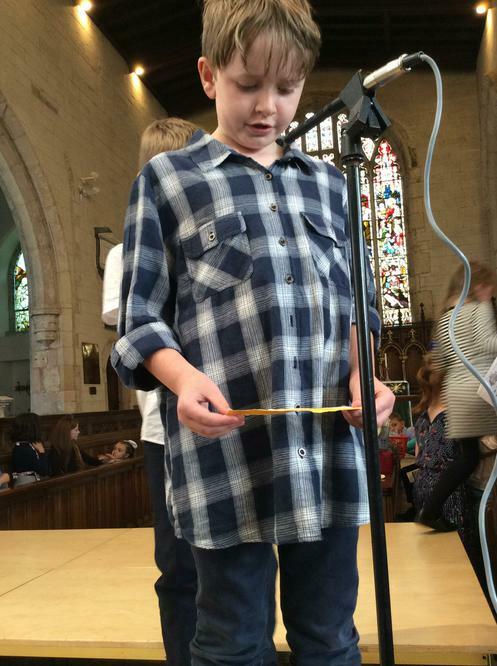 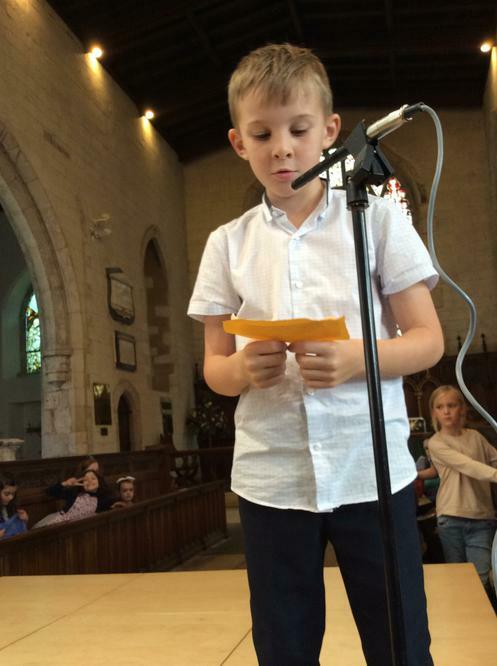 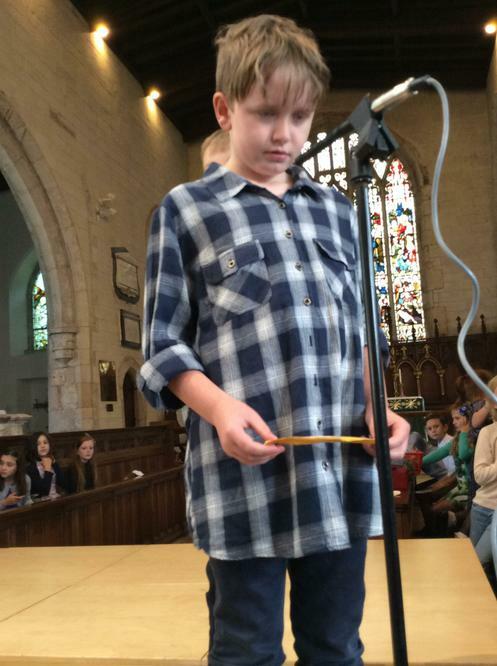 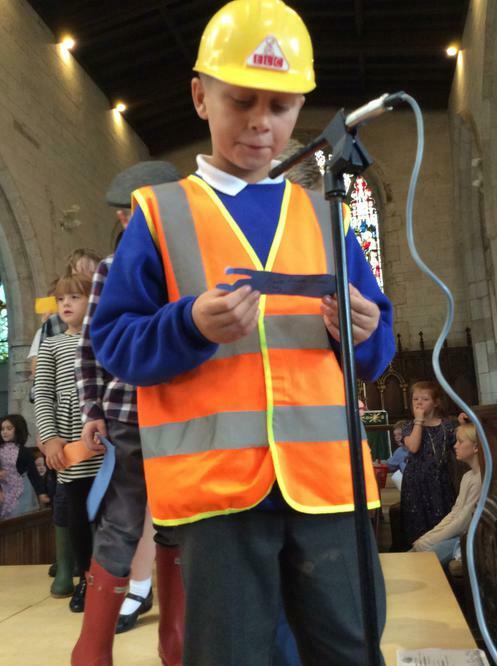 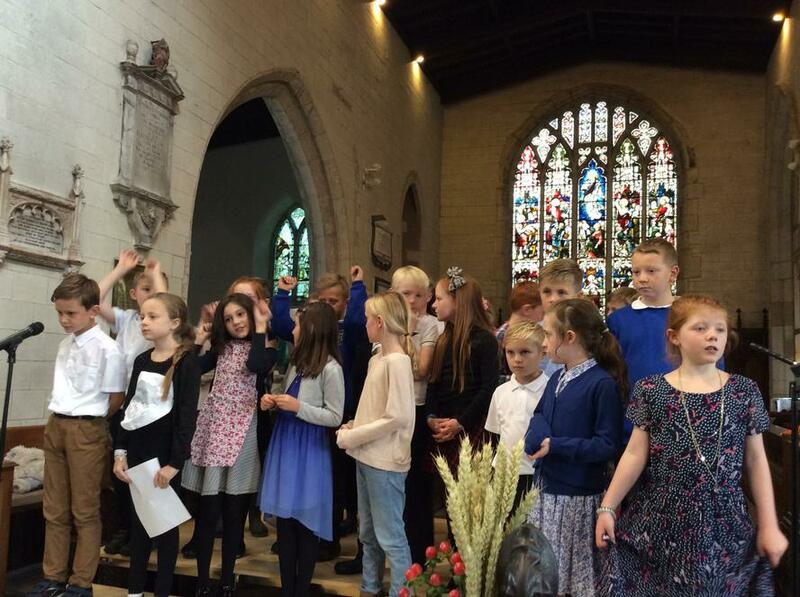 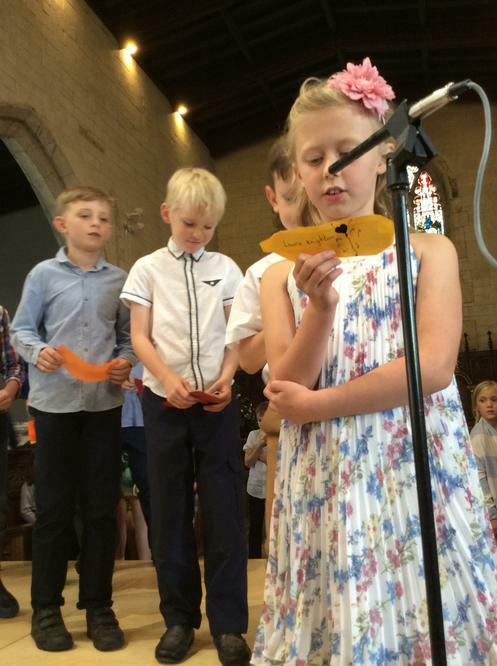 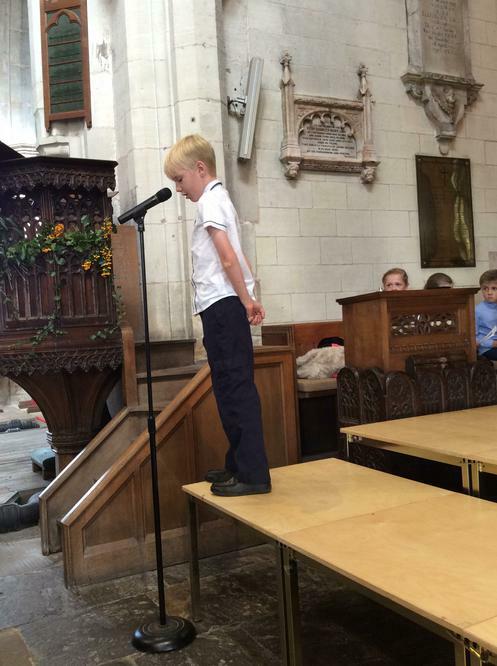 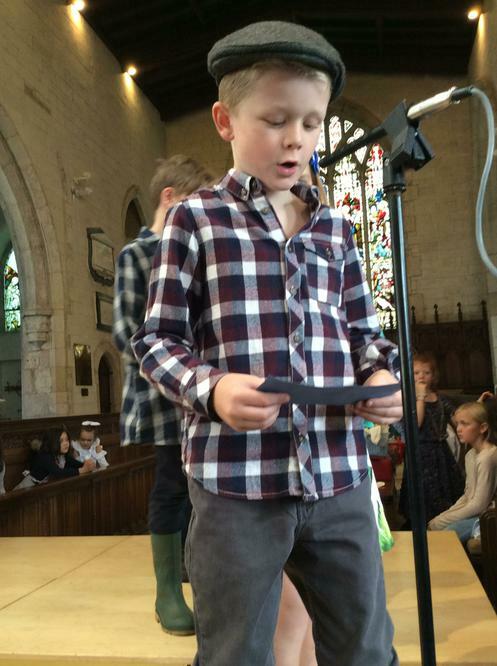 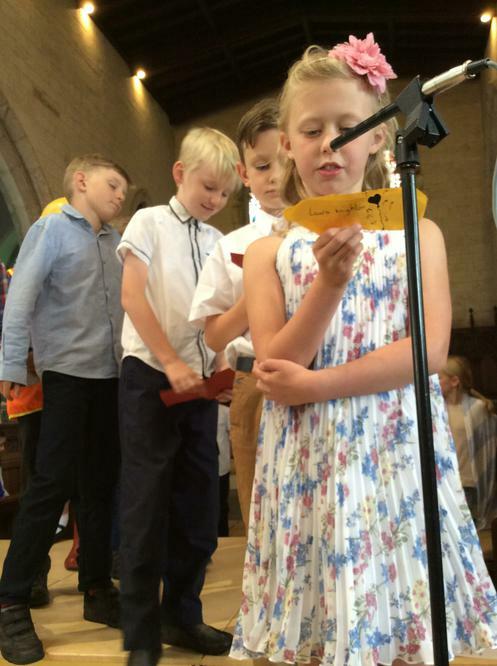 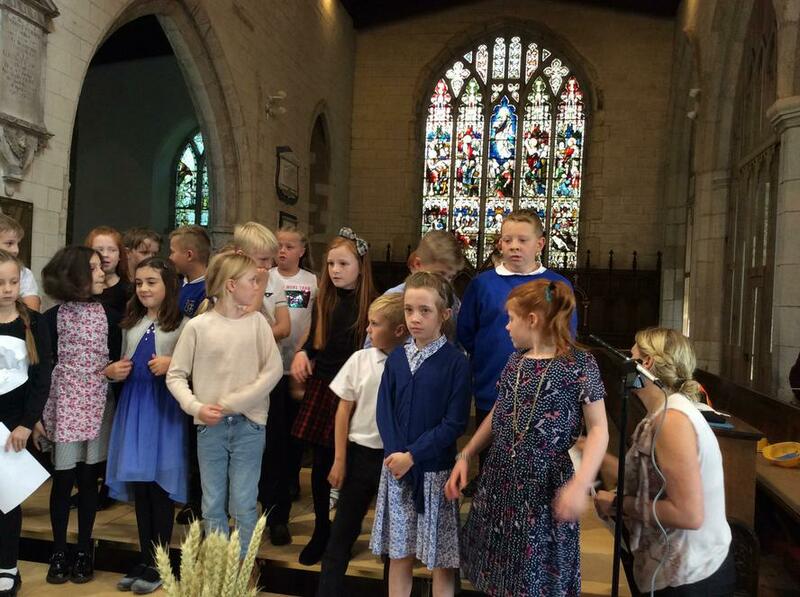 Thank to everyone for coming to our Harvest service. 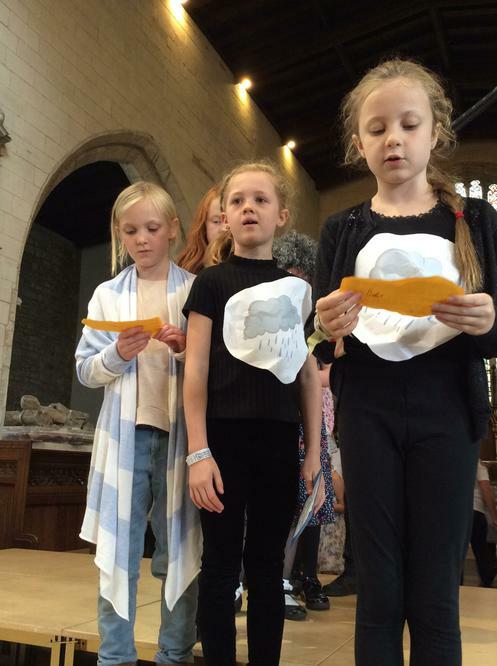 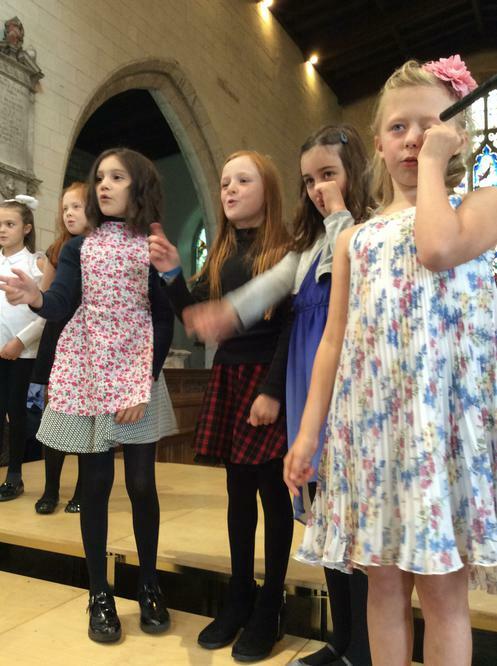 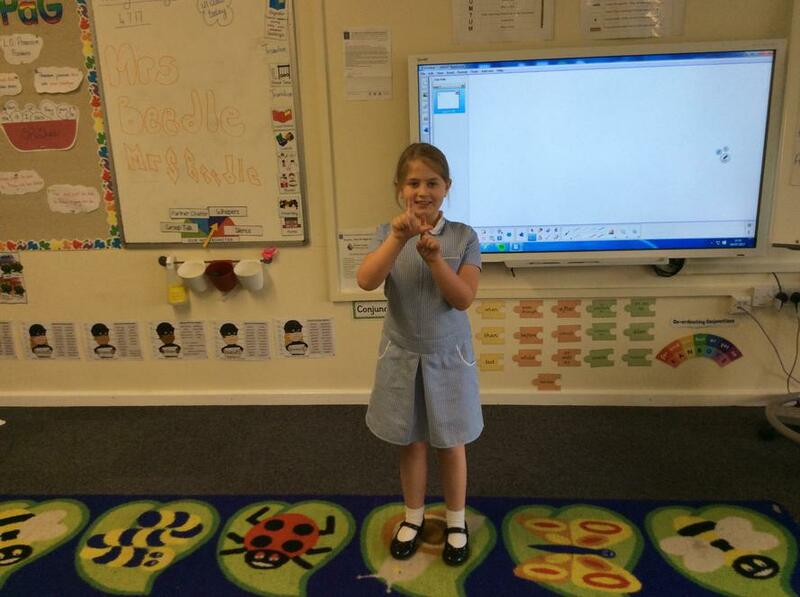 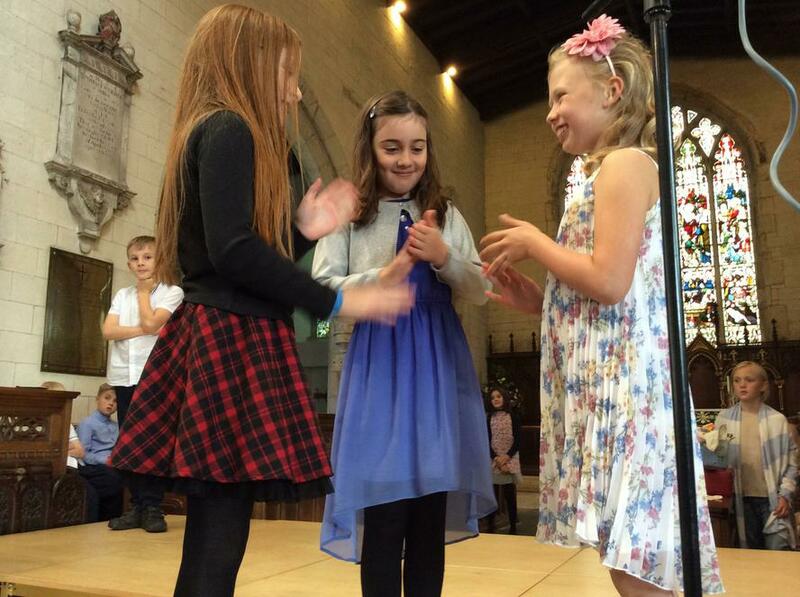 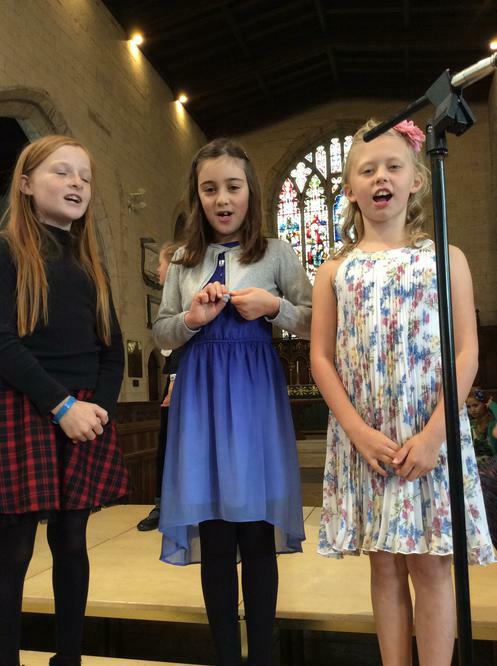 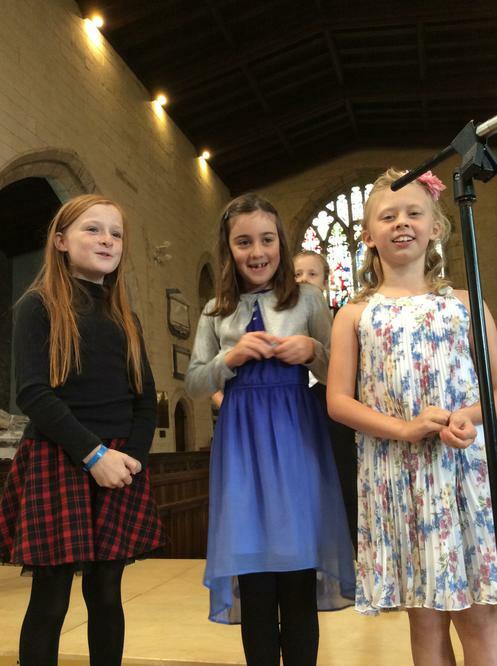 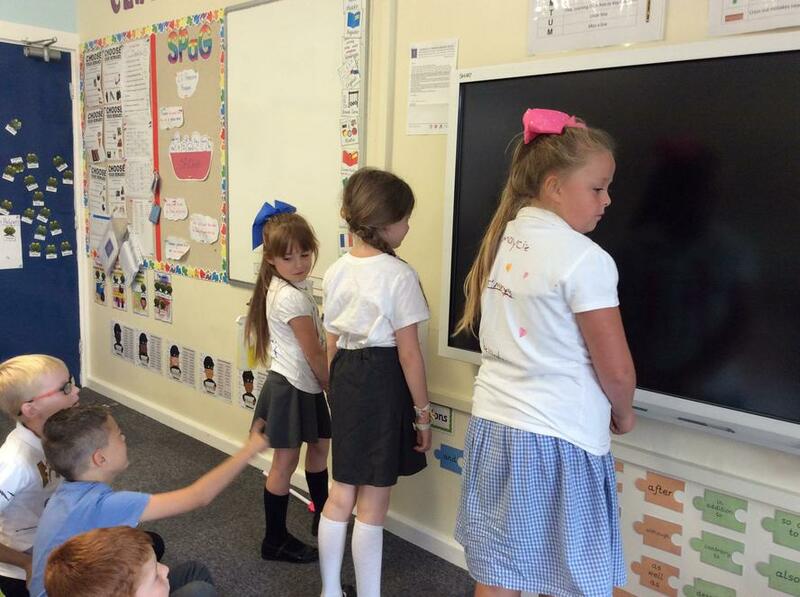 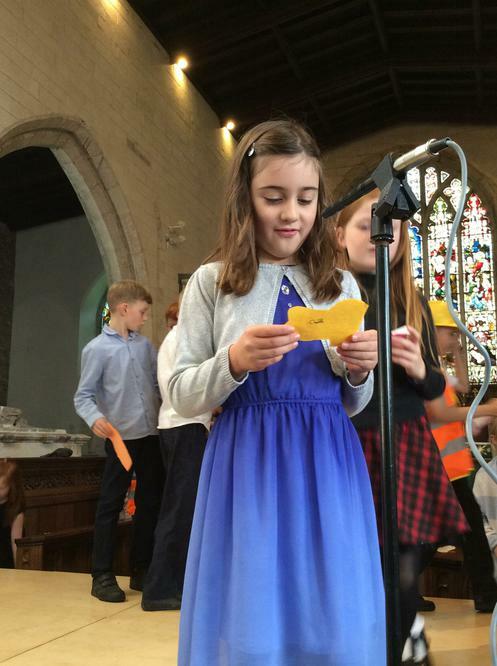 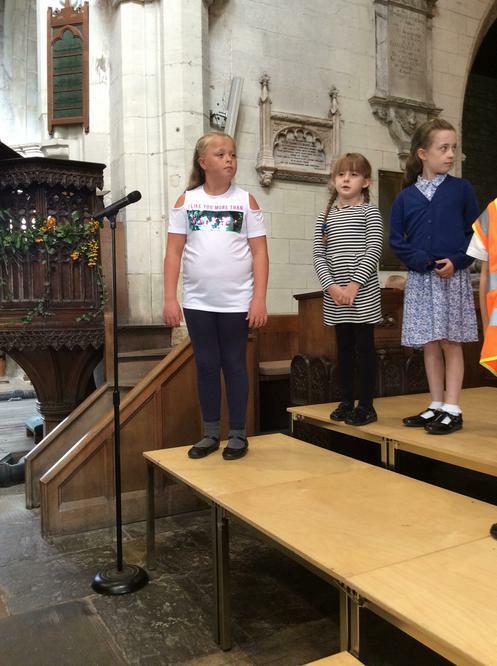 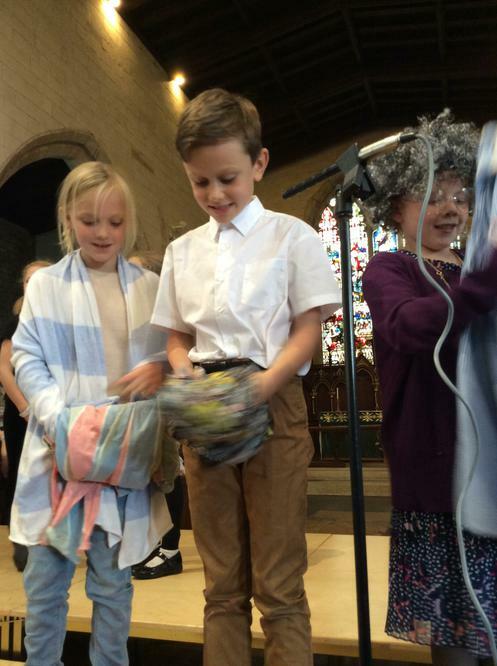 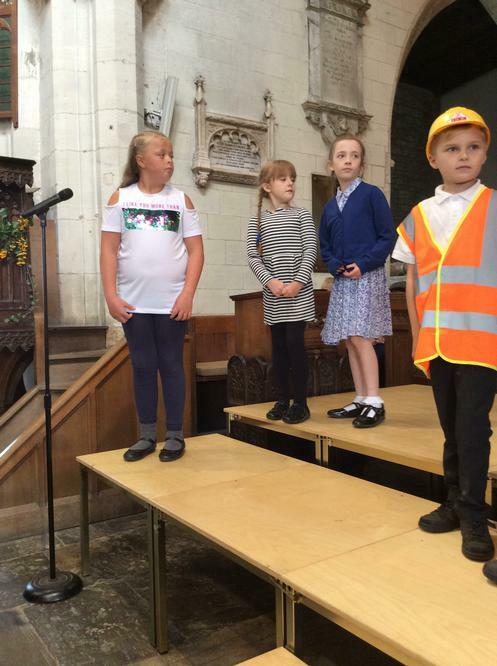 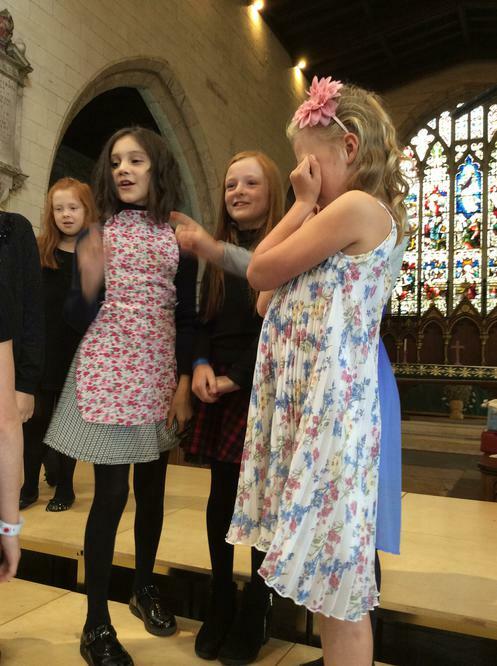 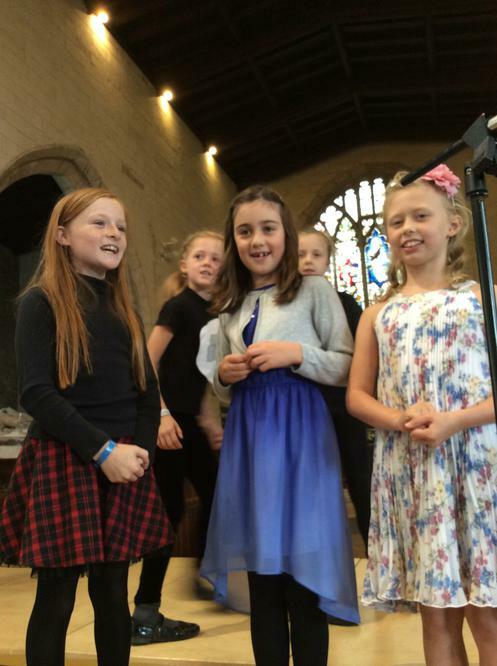 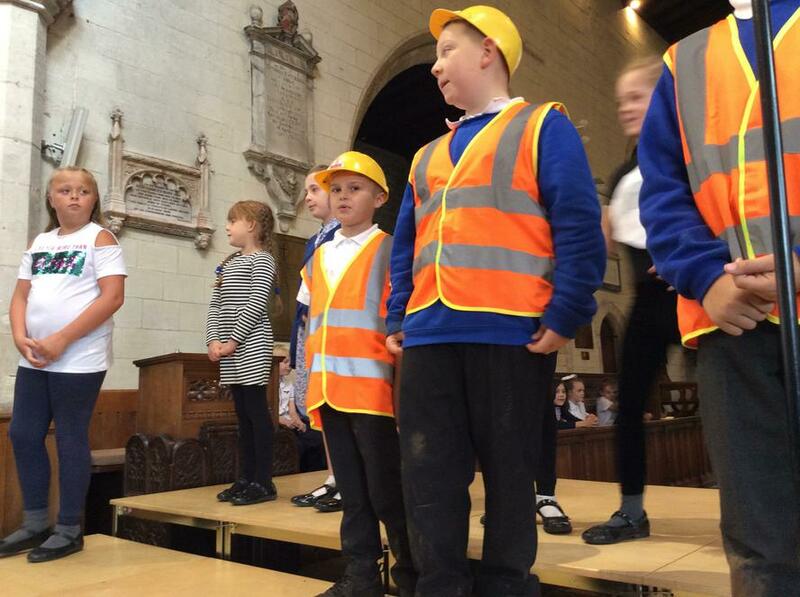 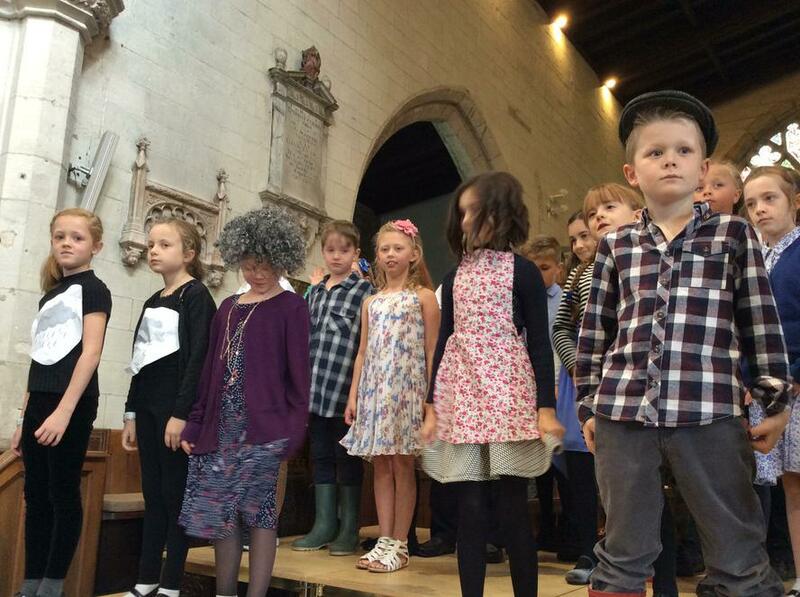 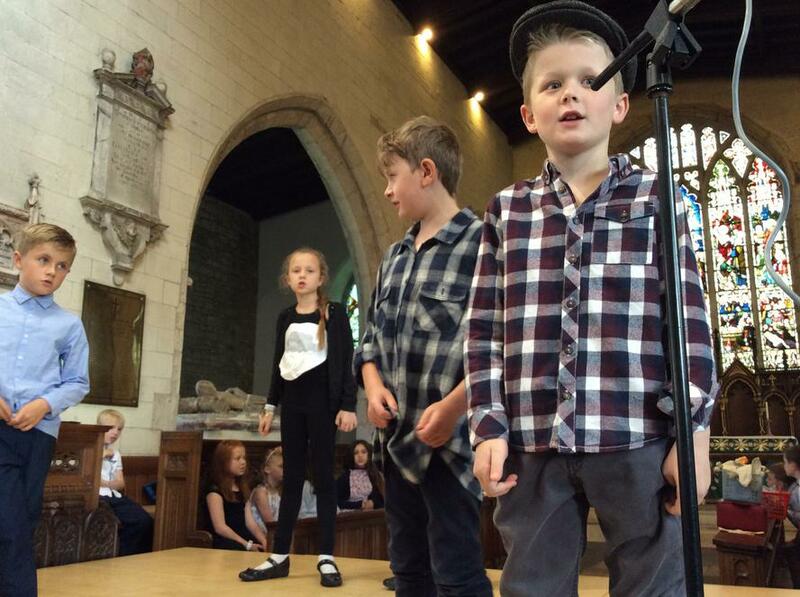 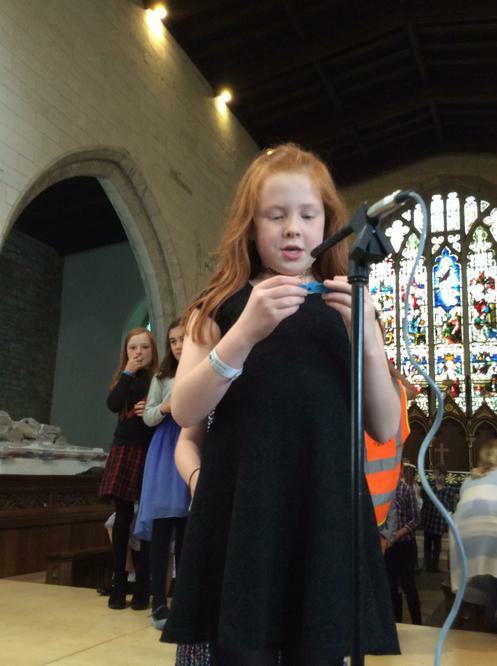 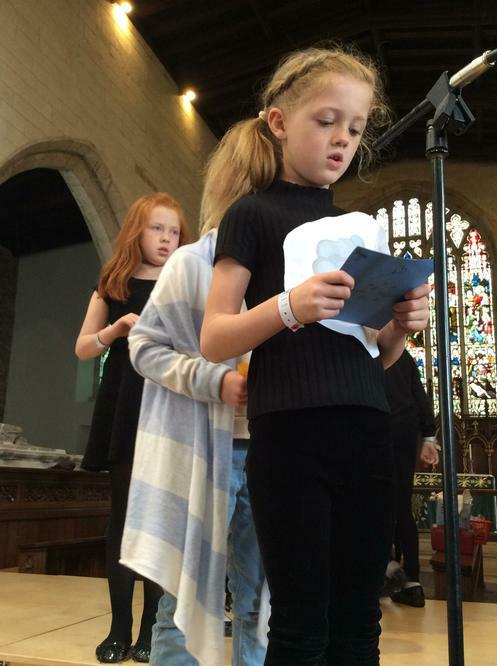 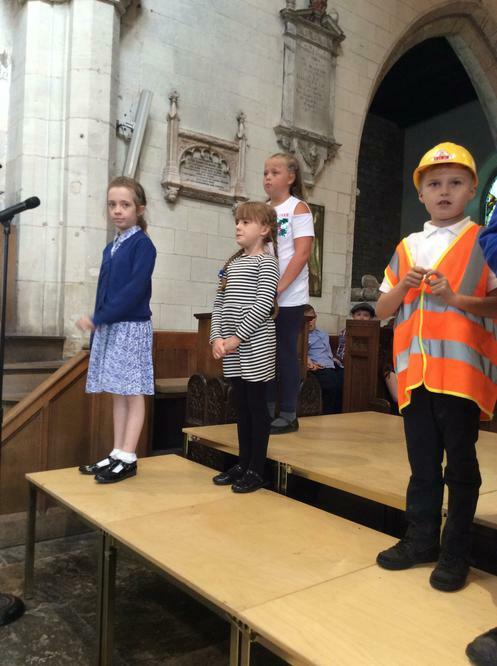 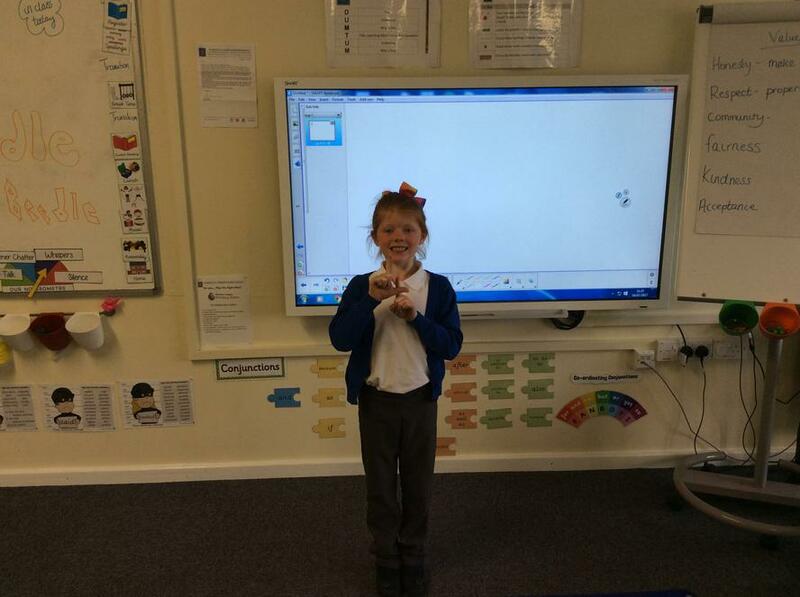 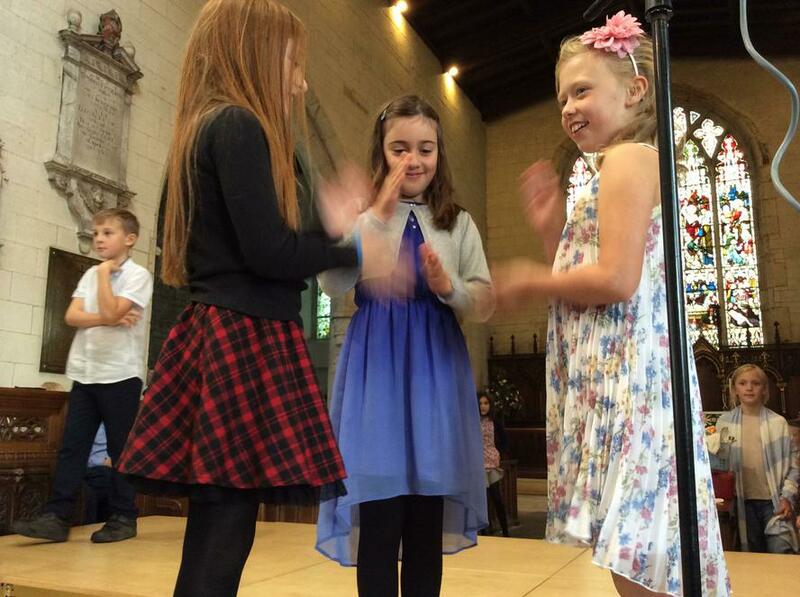 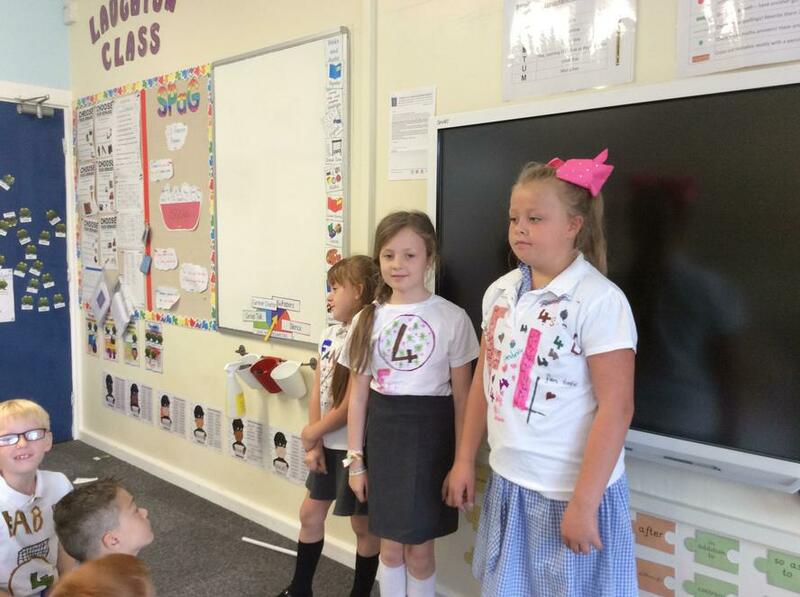 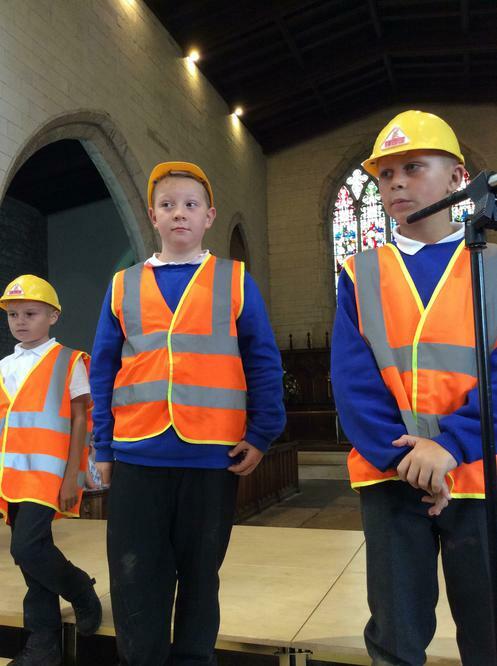 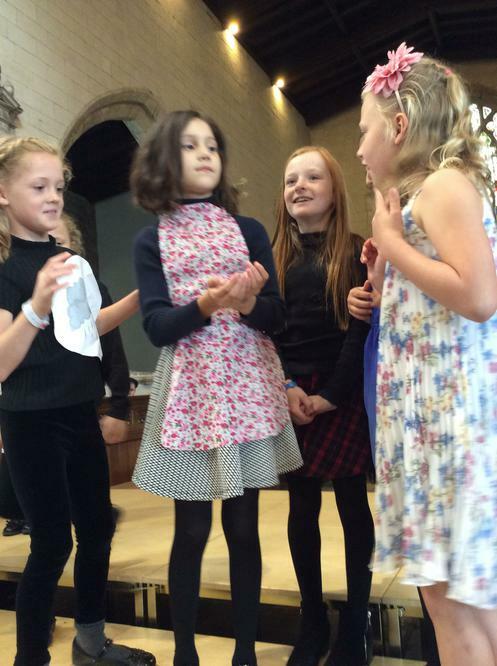 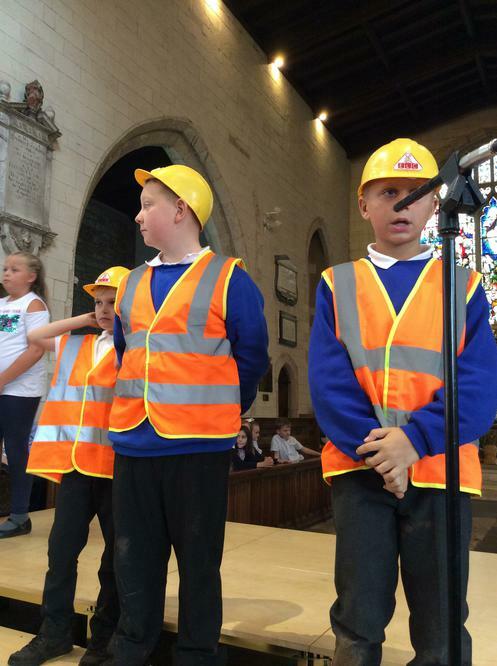 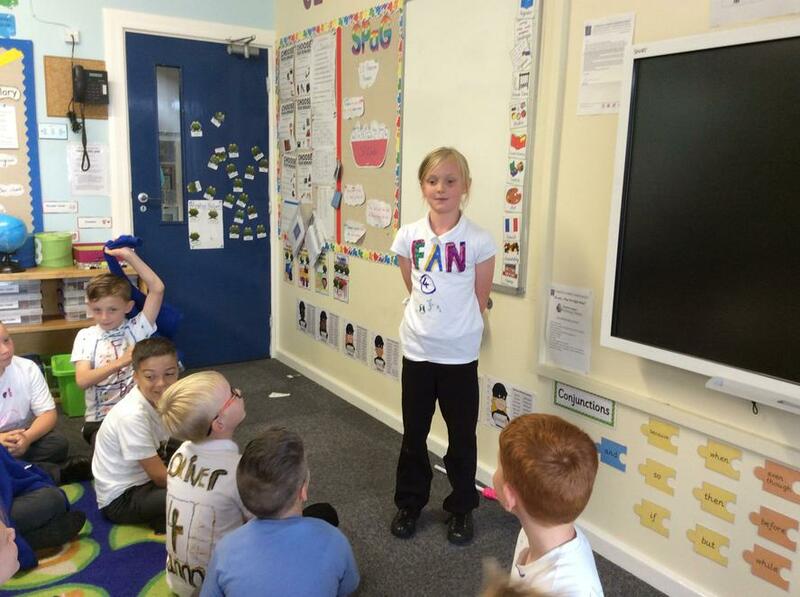 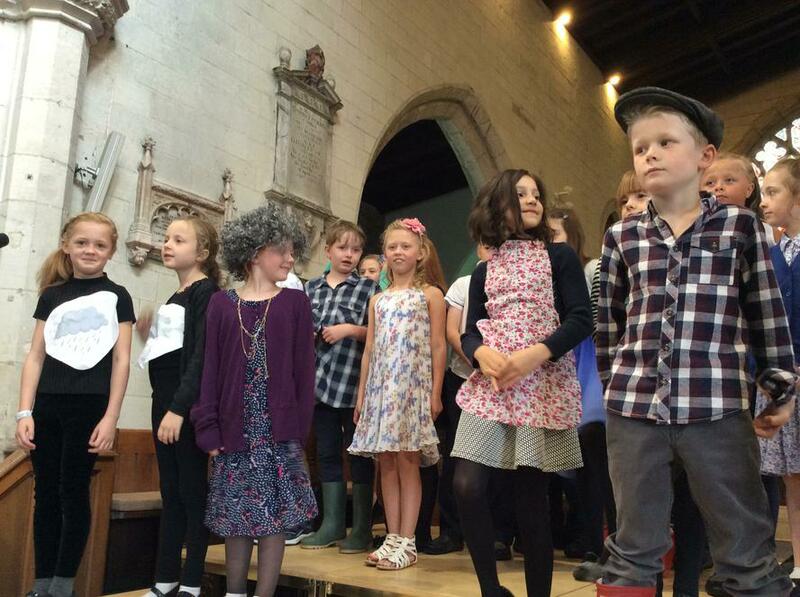 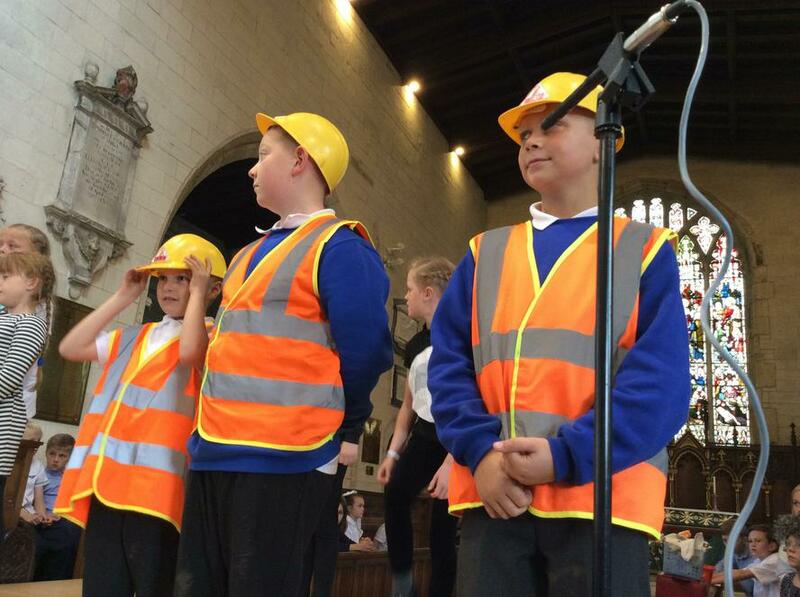 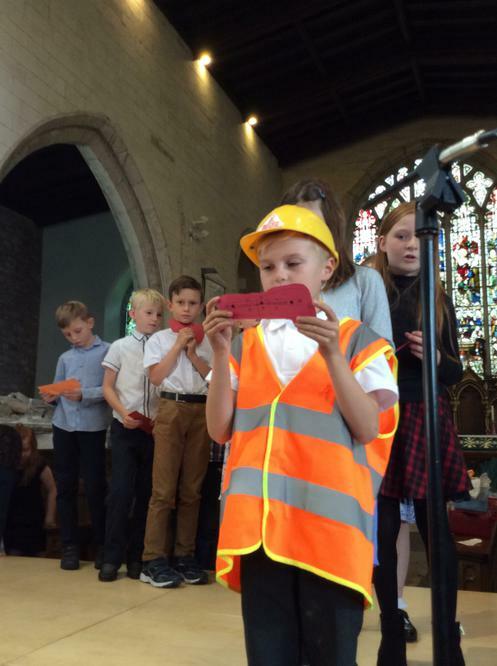 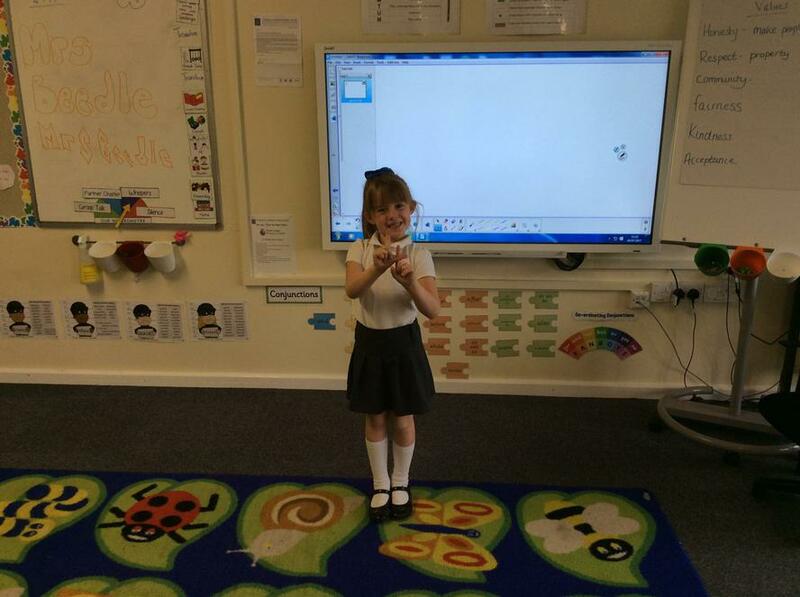 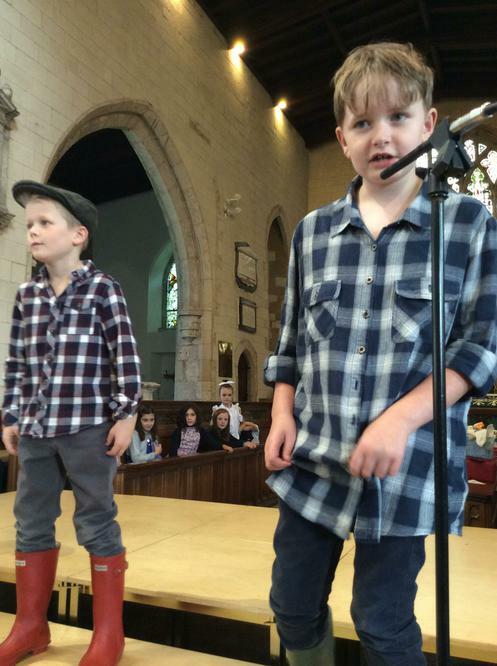 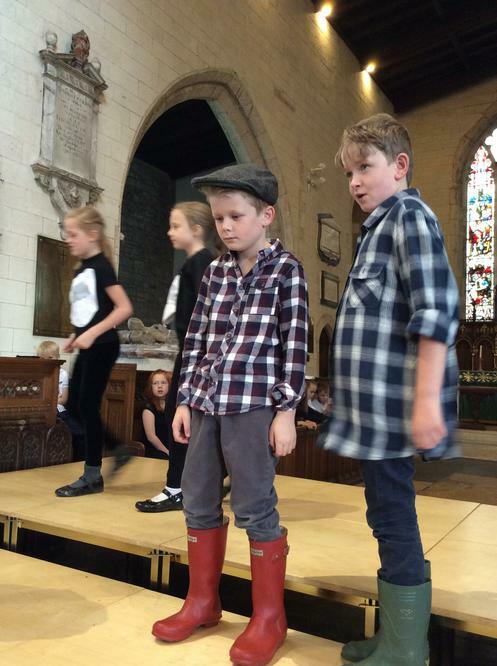 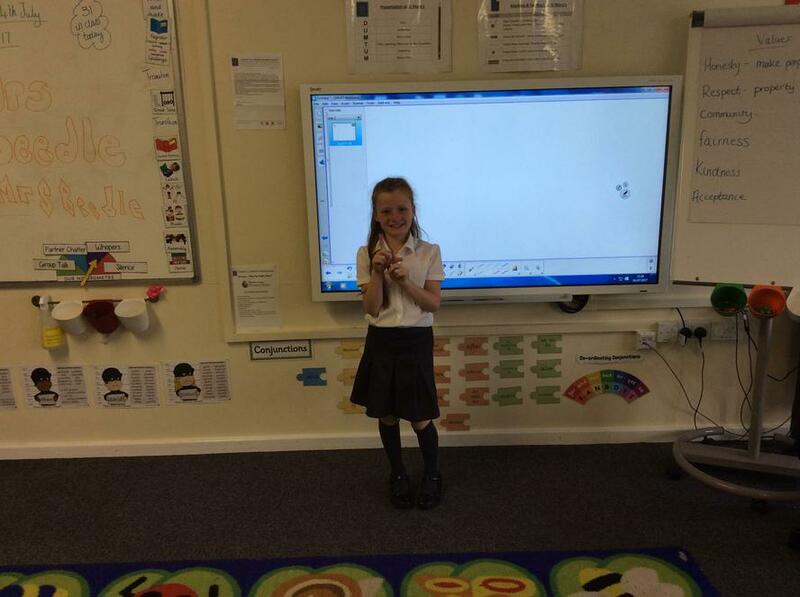 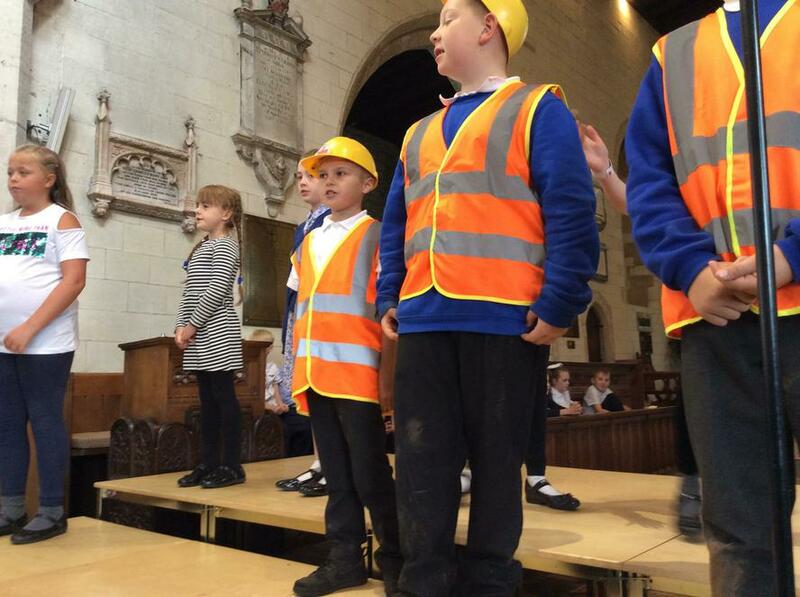 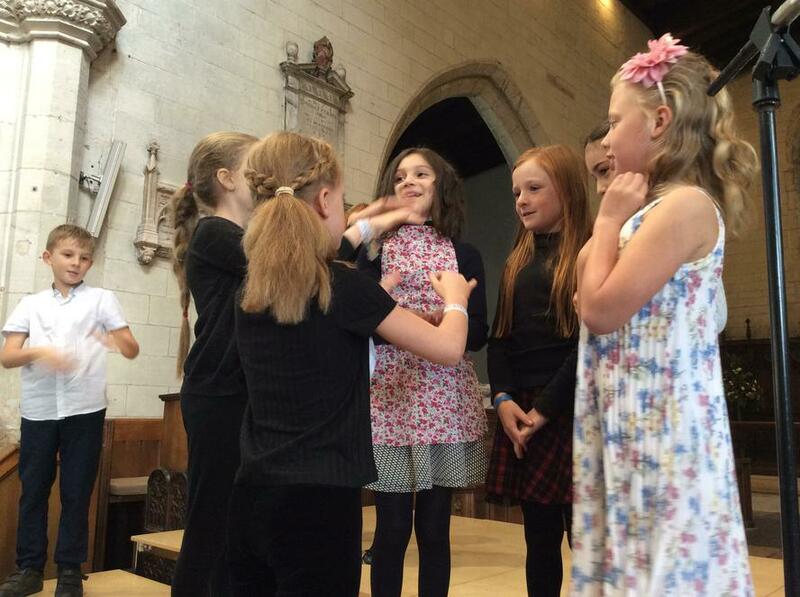 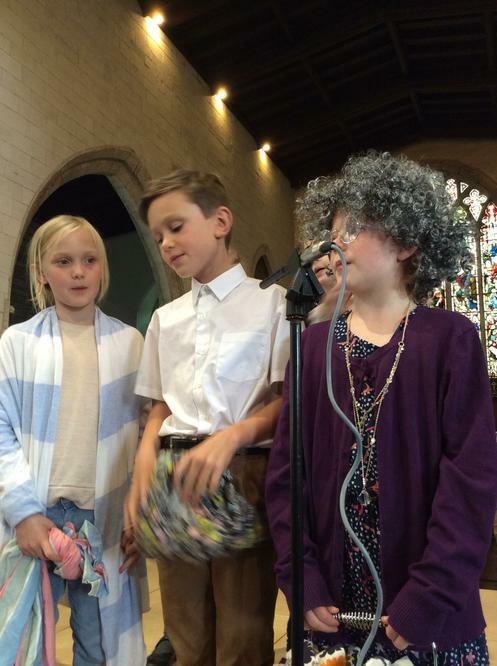 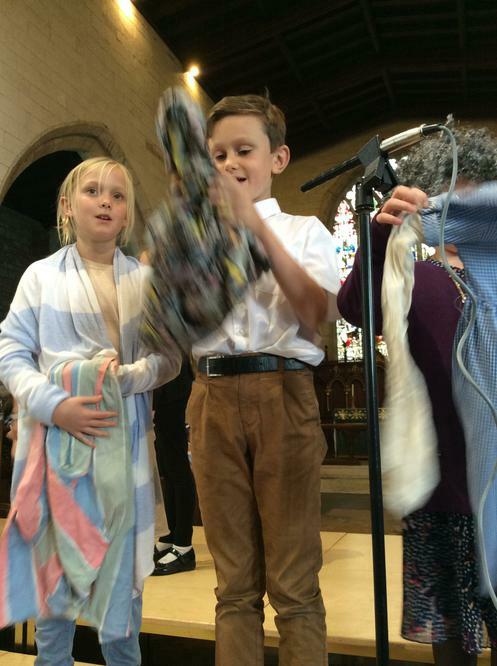 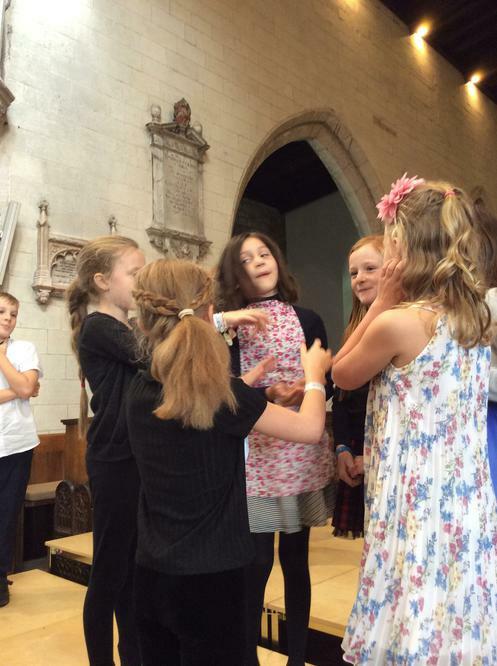 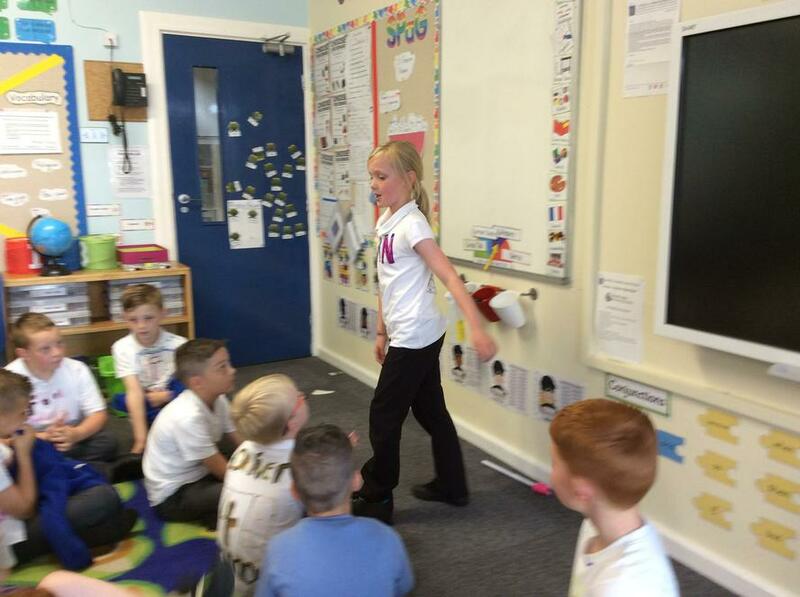 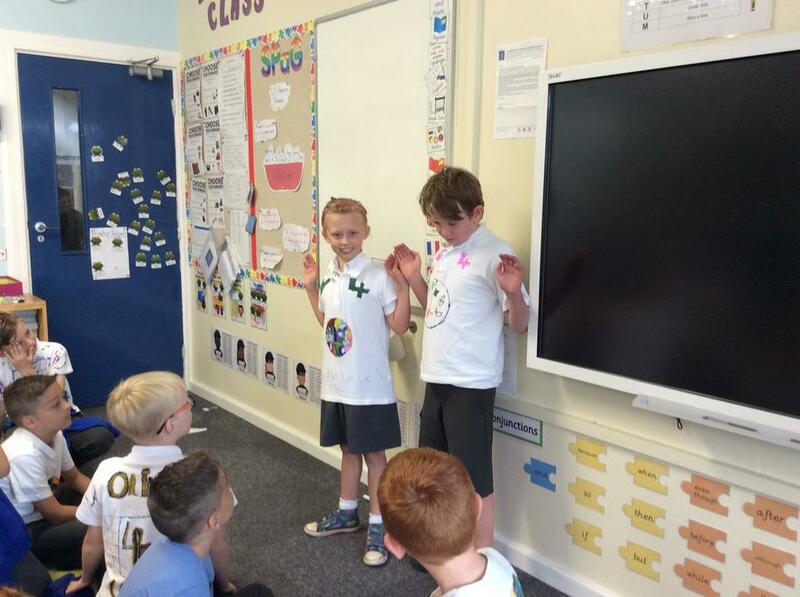 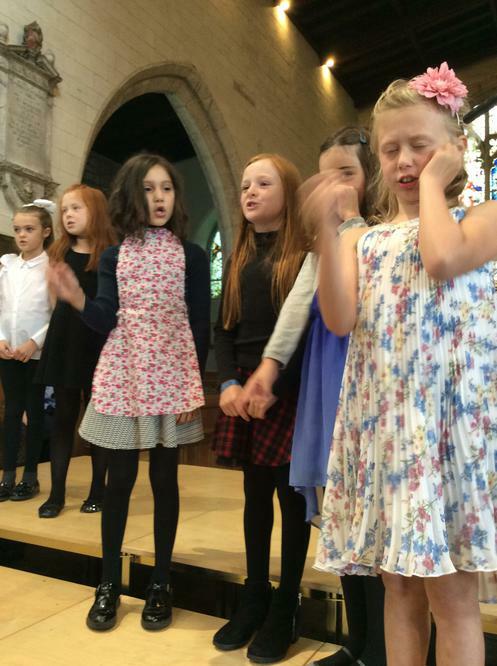 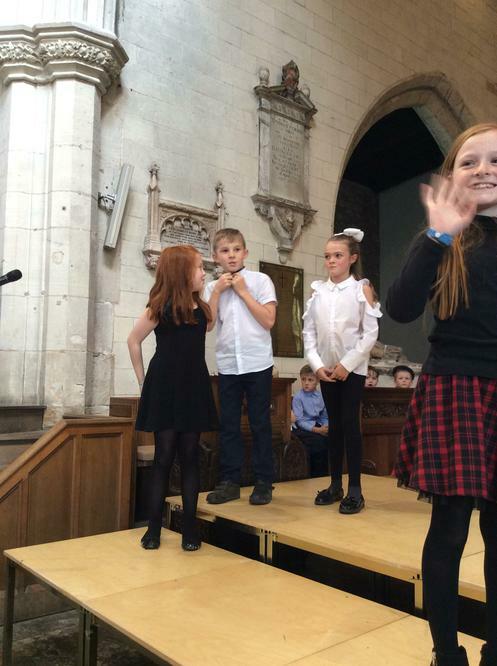 The children loved performing for you and we hoped that you really enjoyed it! 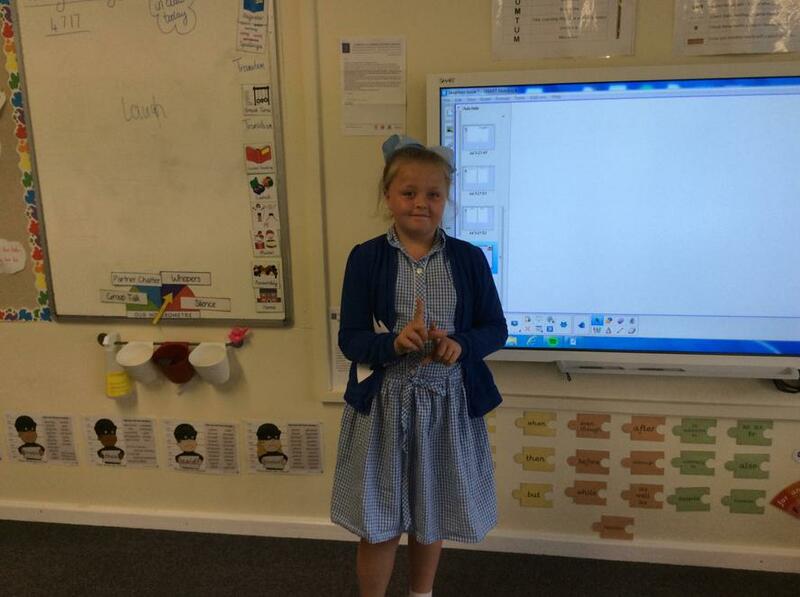 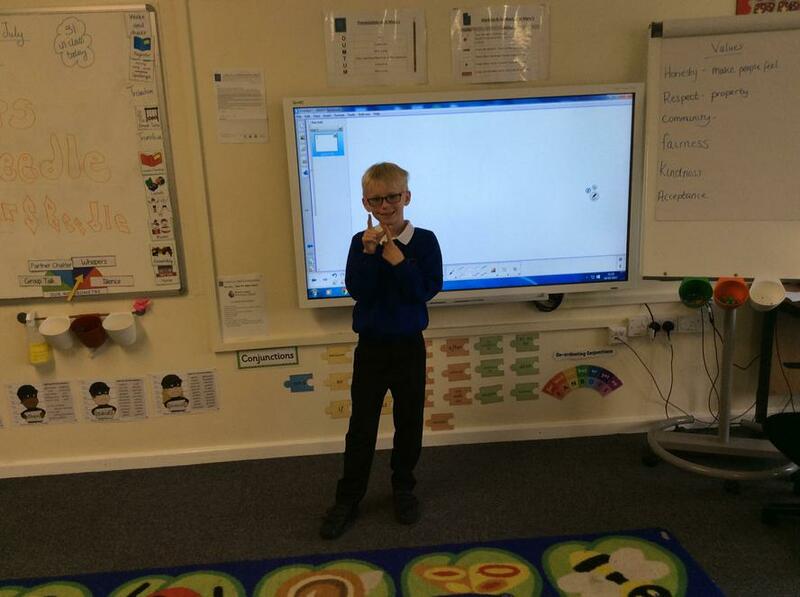 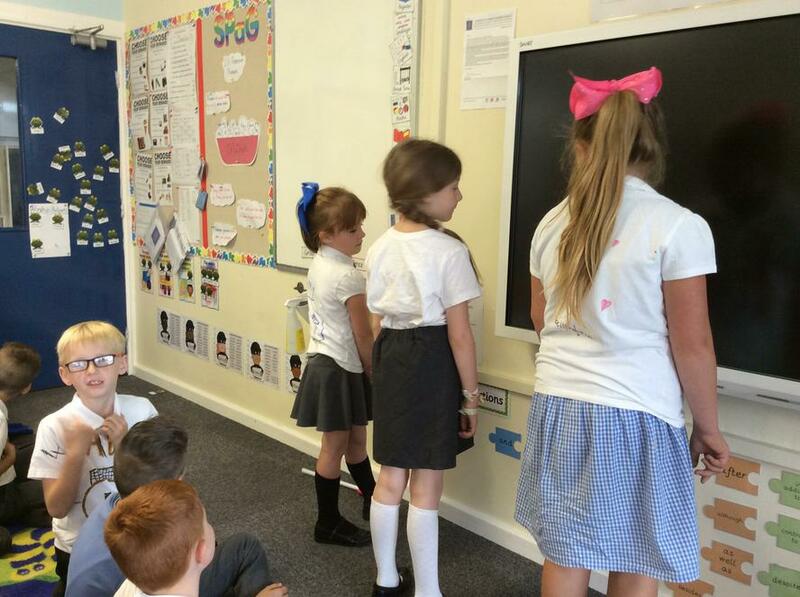 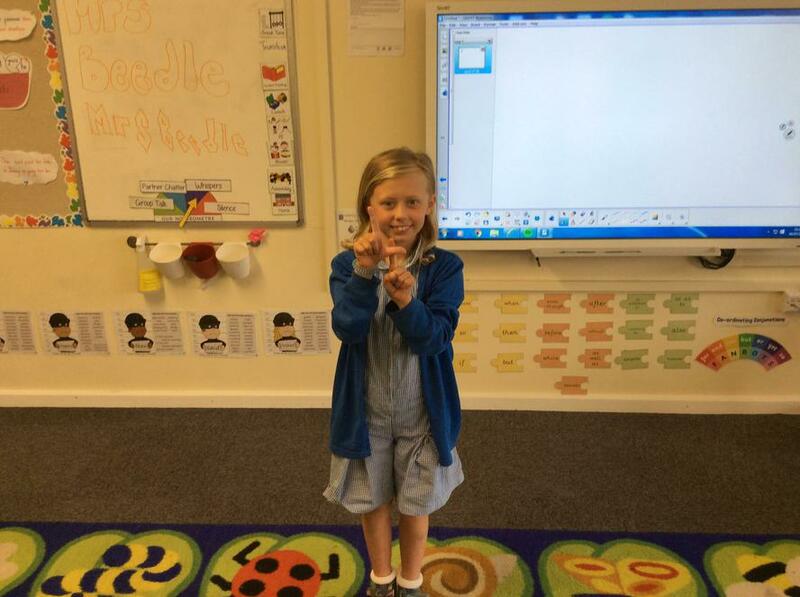 We are all so excited for our new year in Year 4. 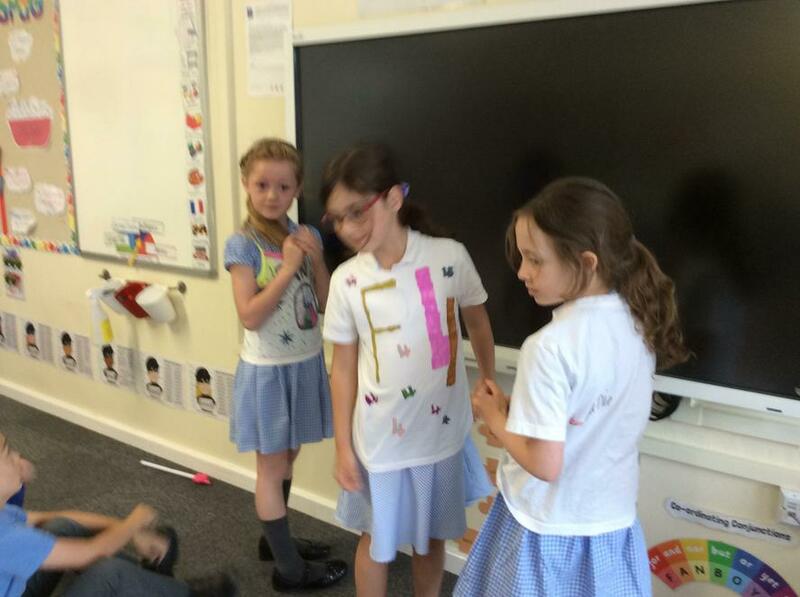 We are all ready with our secret 'Fantastic 4' signal and t-shirts. 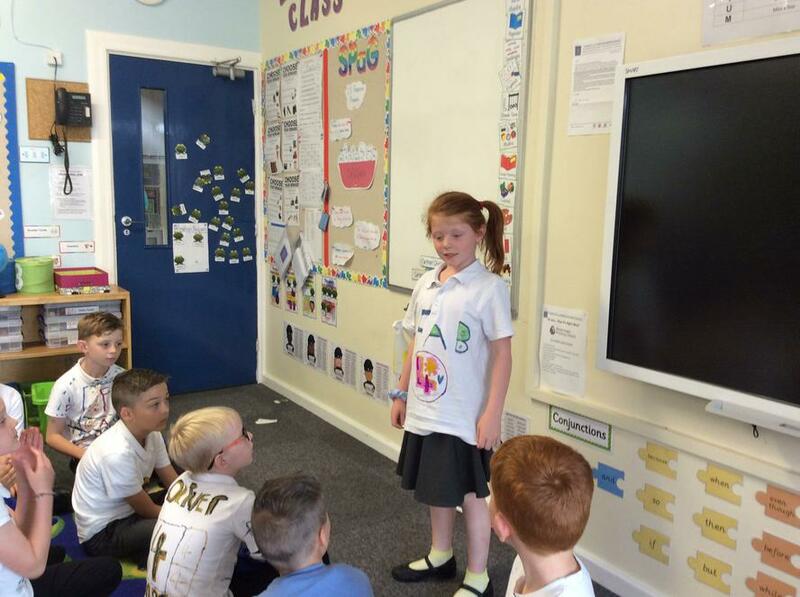 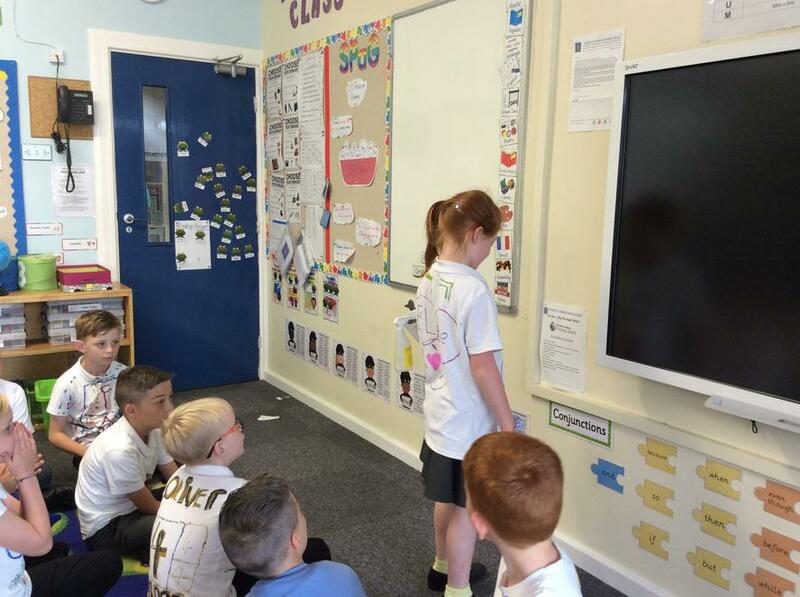 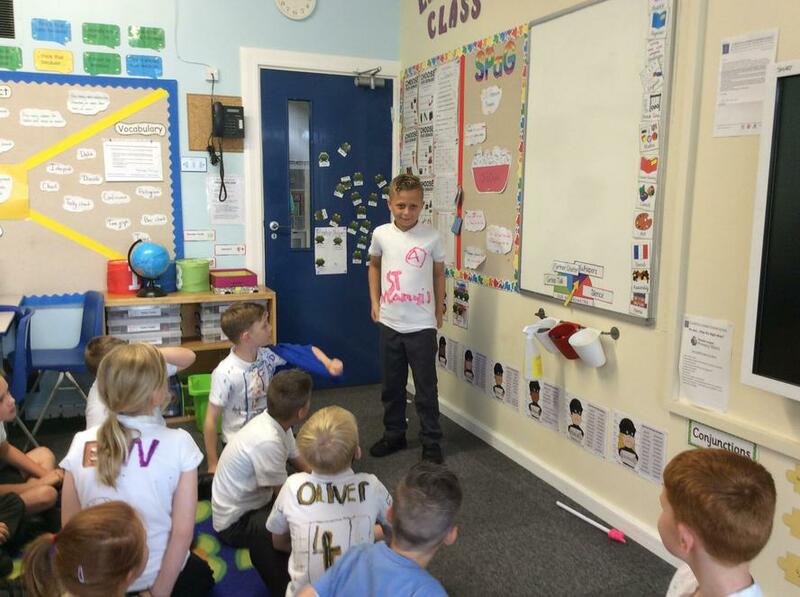 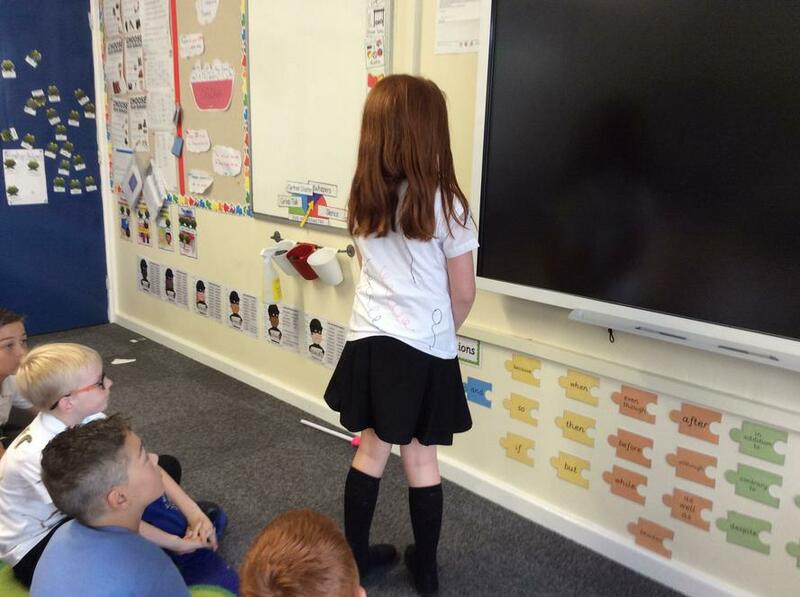 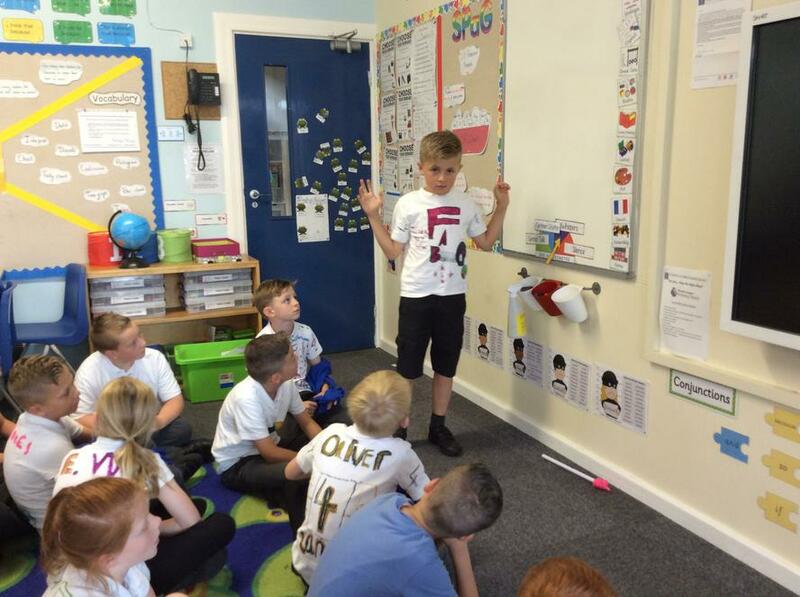 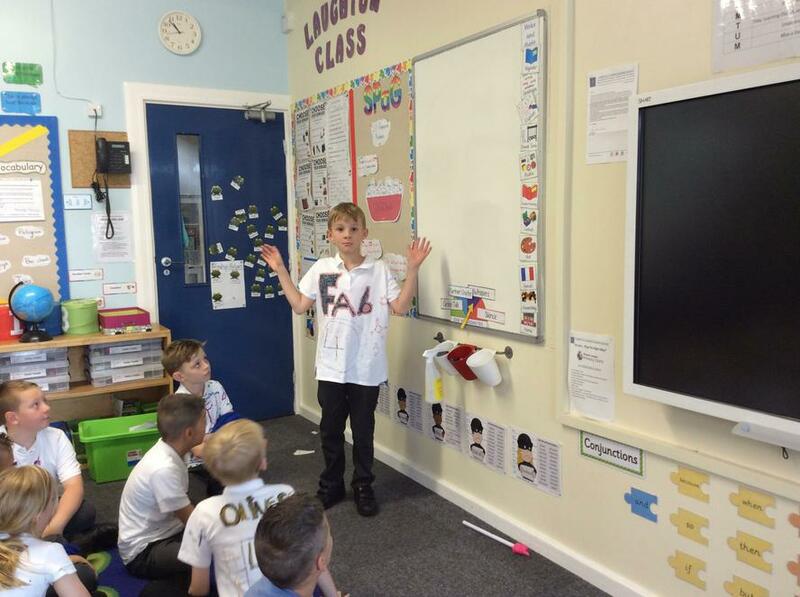 I will post everything that we have been doing in class on here, including pictures and stories so please keep checking and having a look . 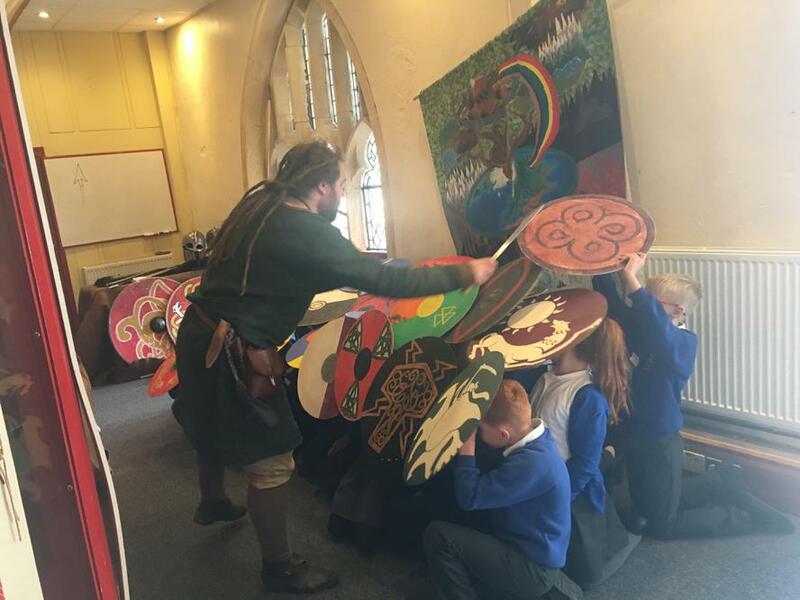 We will be looking at the Smashing Saxons and Vicious Vikings and their invasion of British Isles in Autumn term 1. 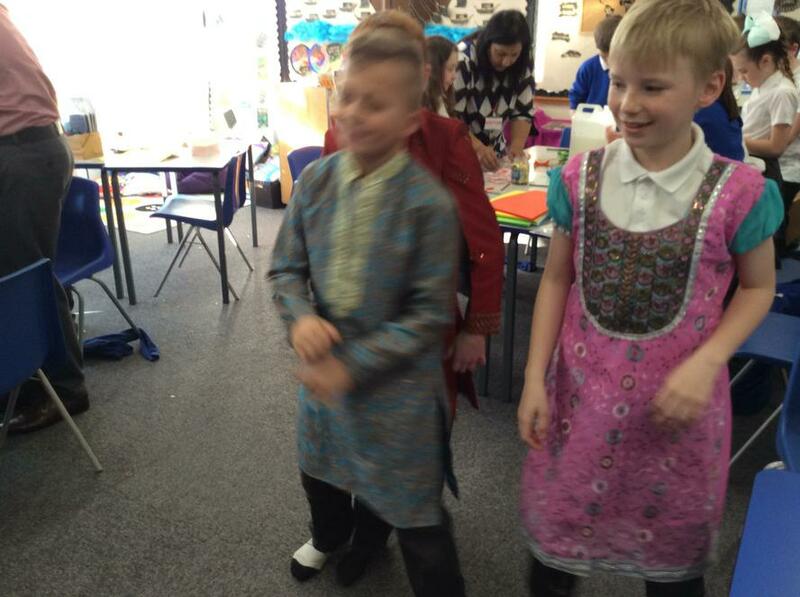 It will be a very exciting look at their customs, way of life and their impact on us today. 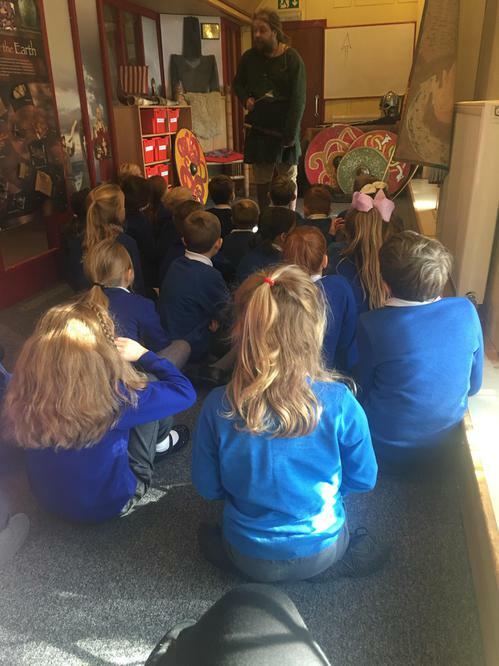 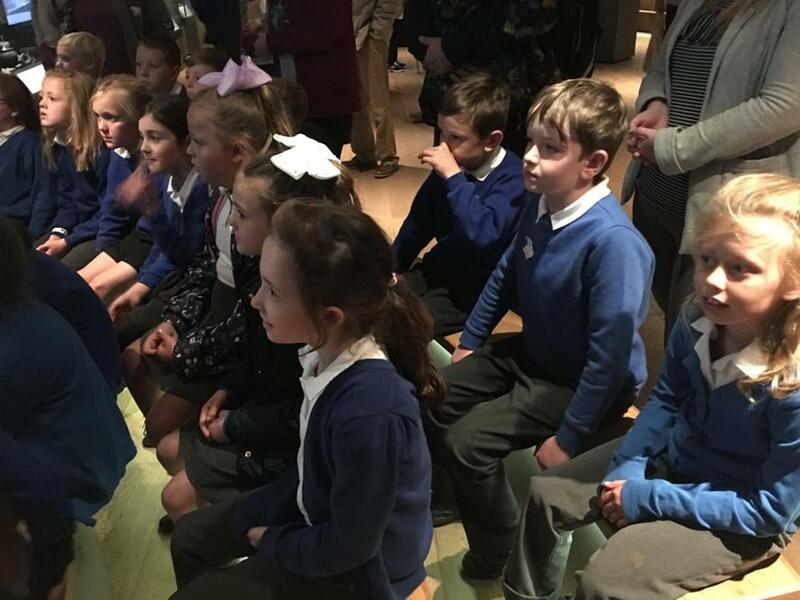 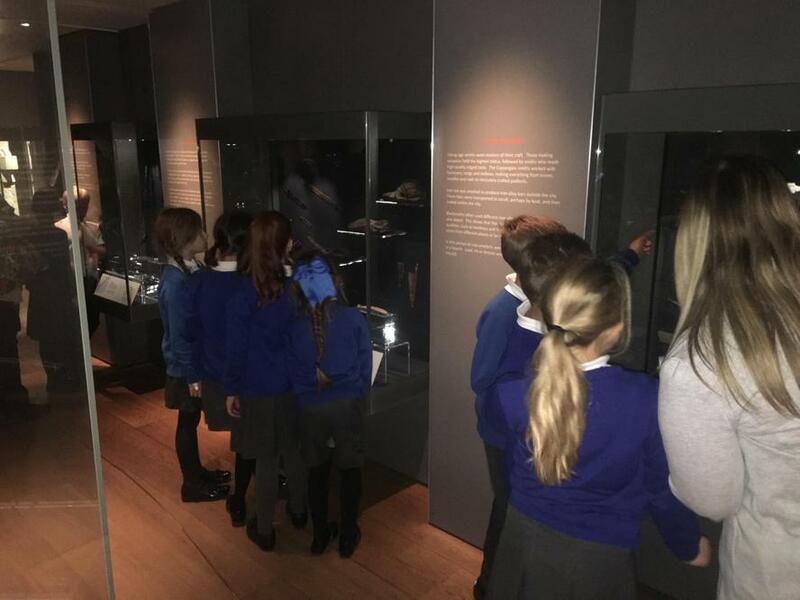 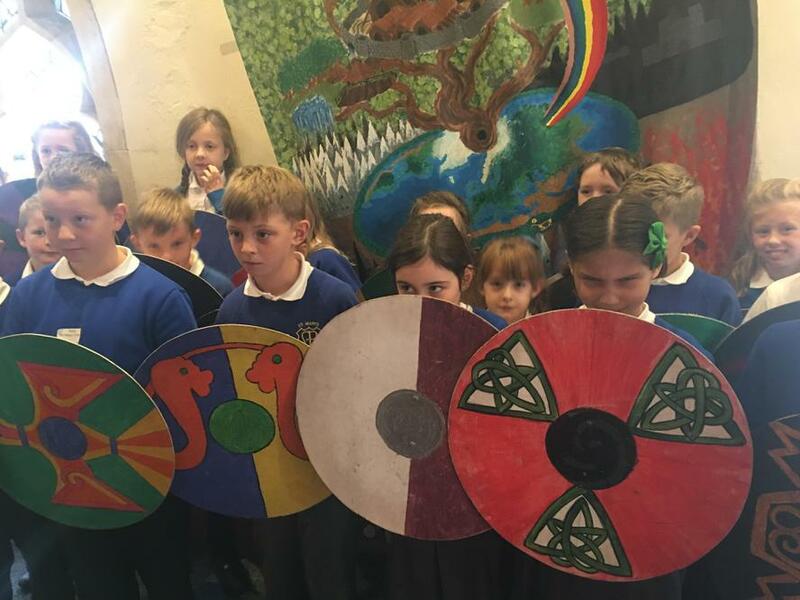 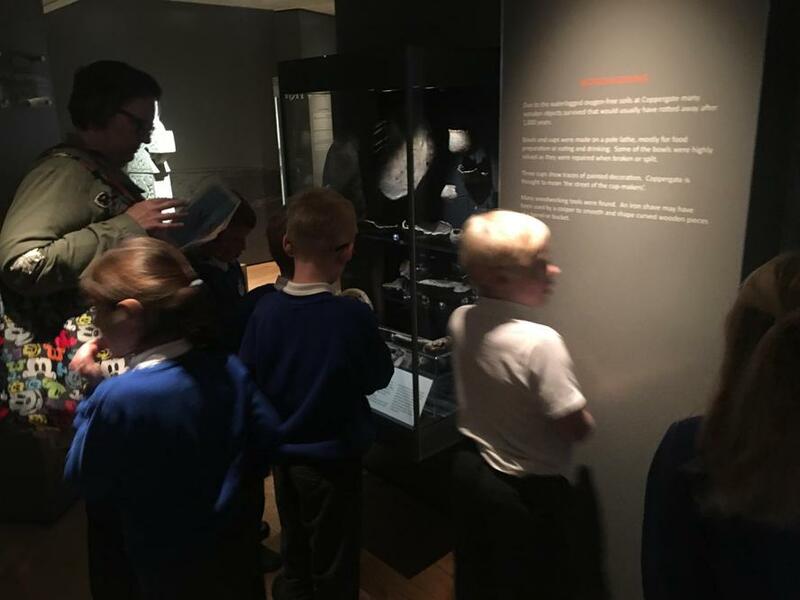 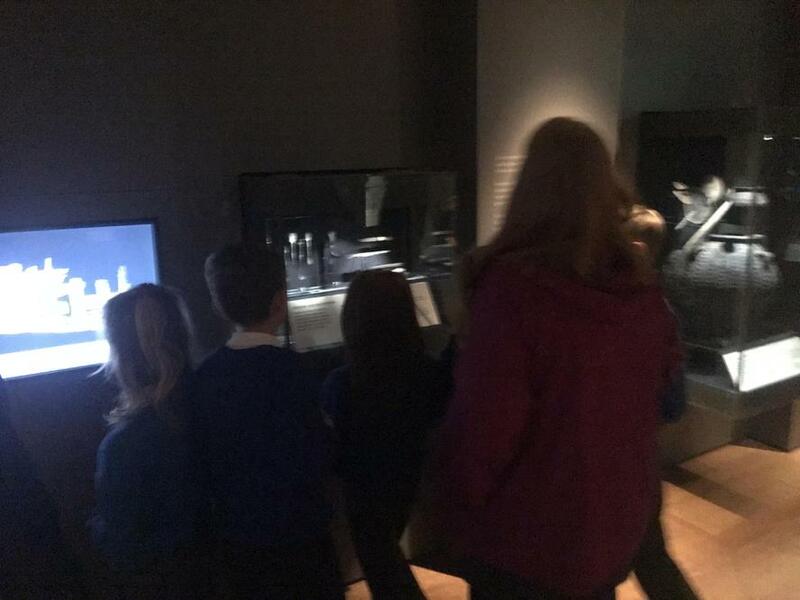 We will be visiting Yorvik museum in week 5 to get a totally immersive experience of Viking life. 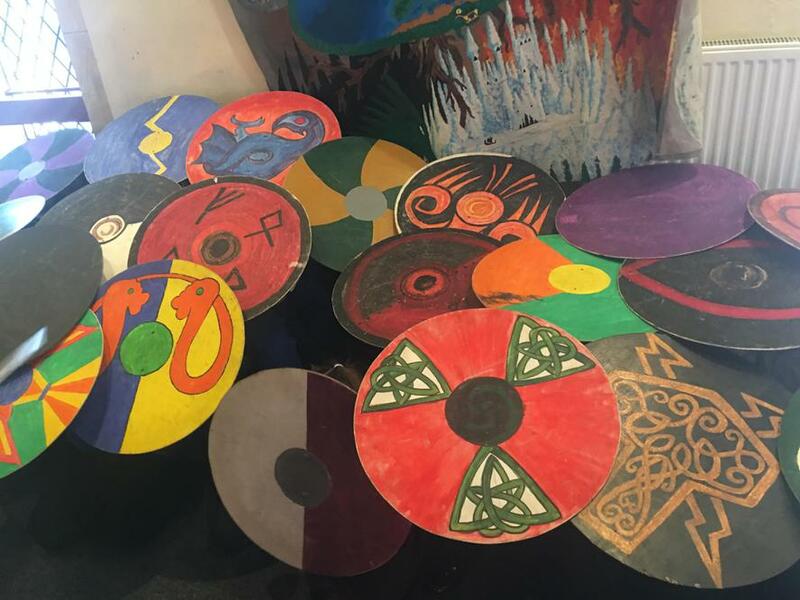 We will take an exciting look at the hero Beowulf and some of the Viking myths and legends.